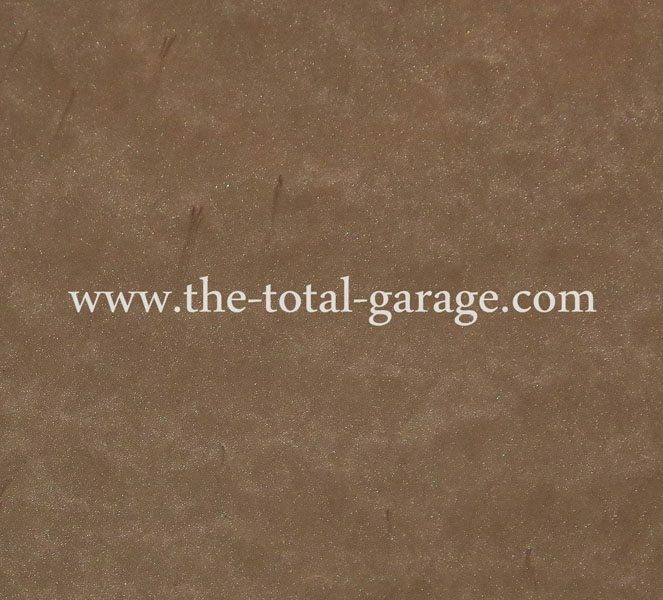 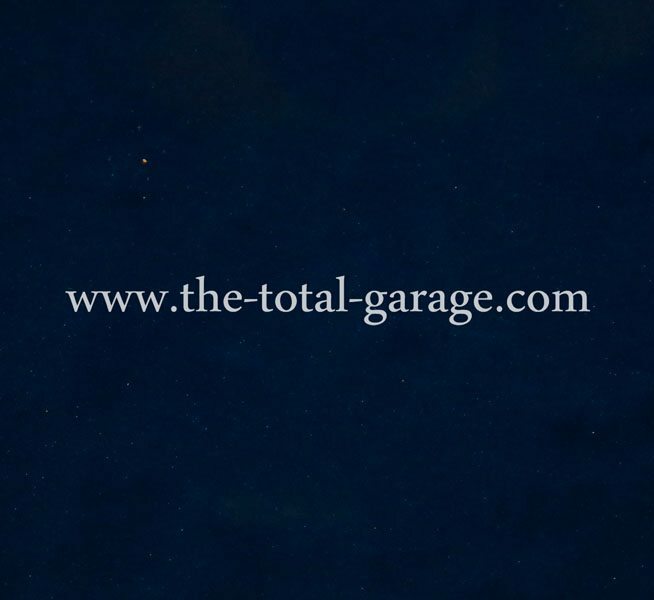 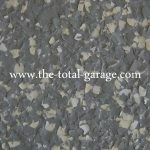 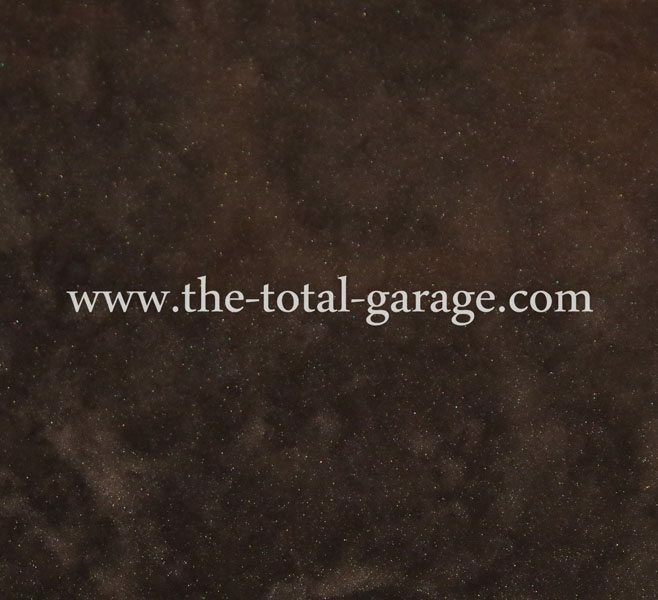 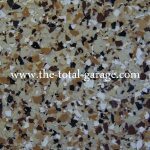 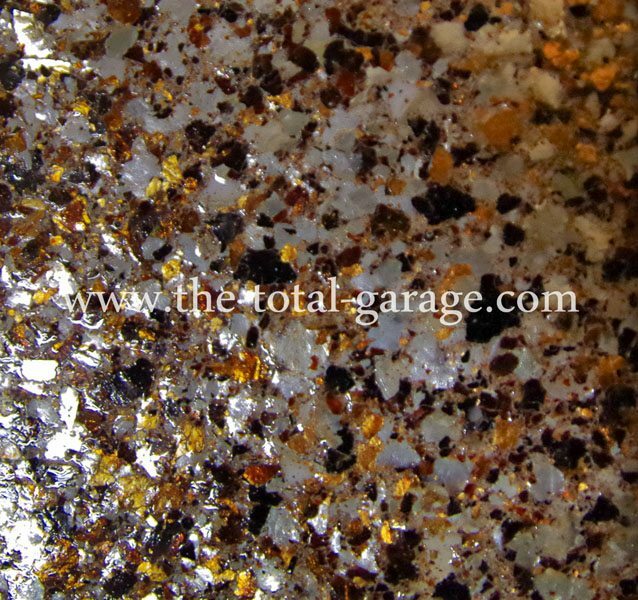 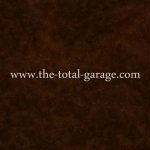 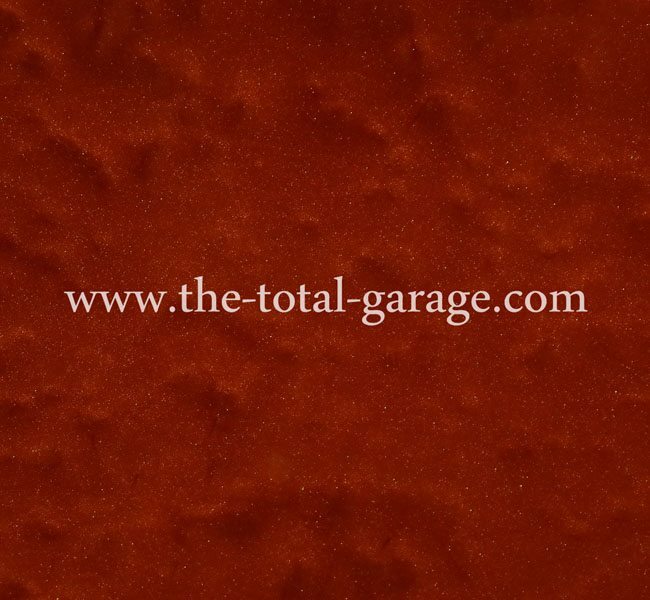 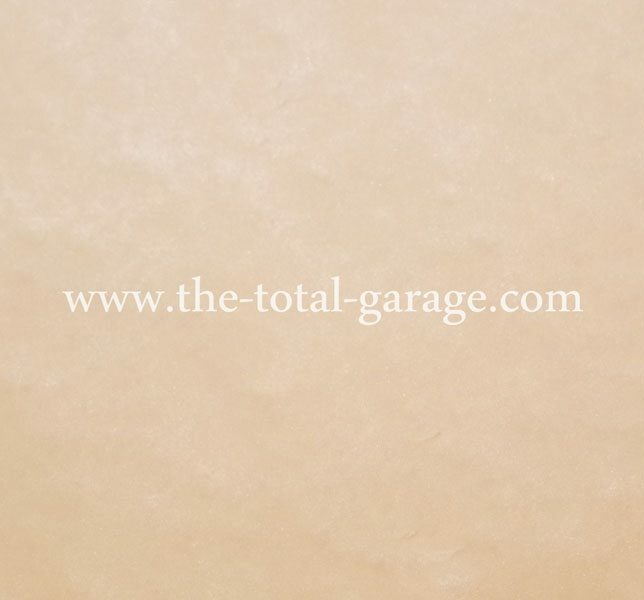 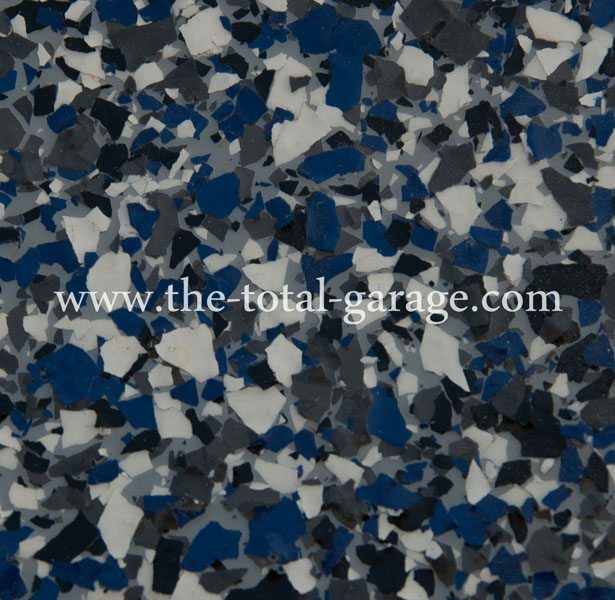 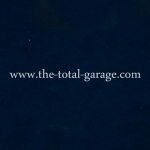 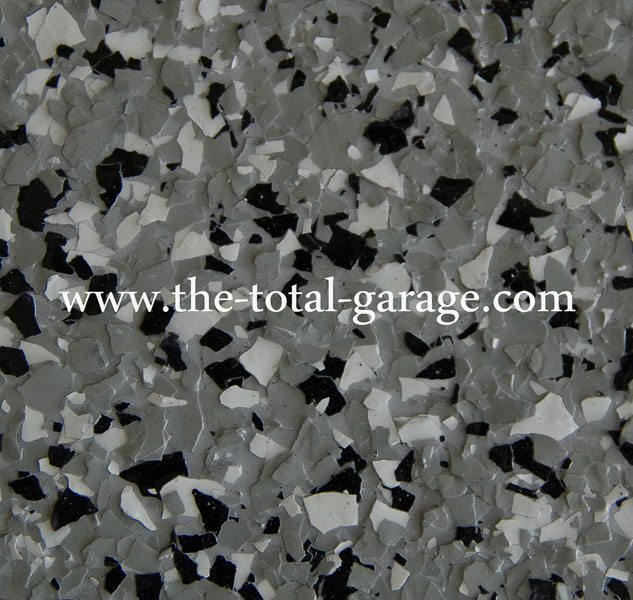 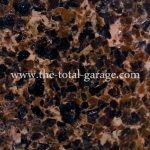 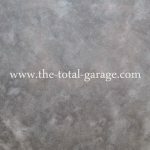 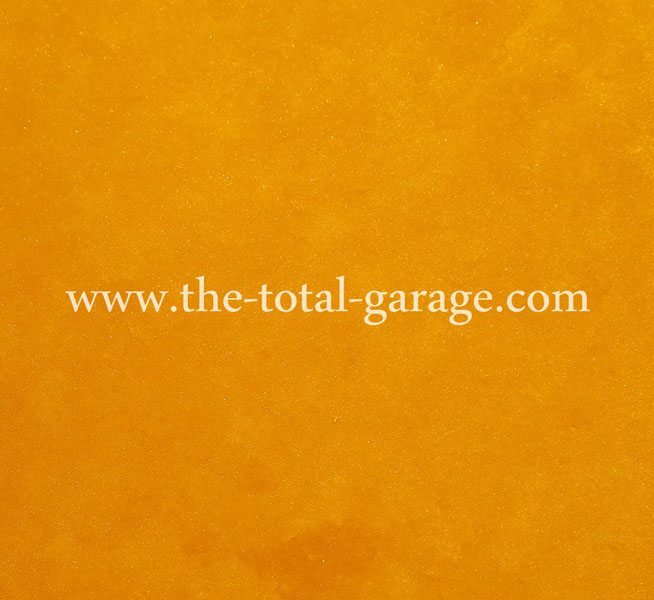 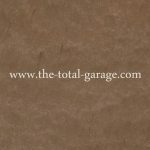 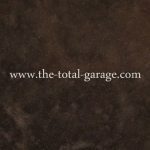 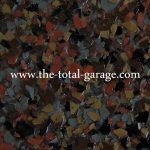 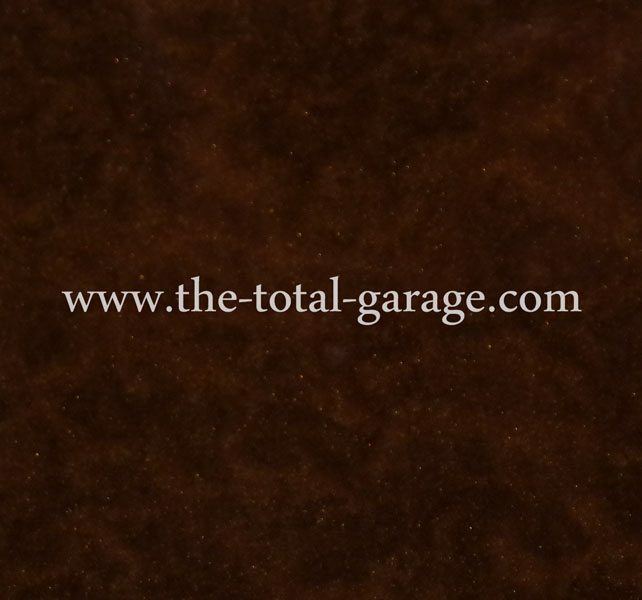 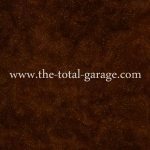 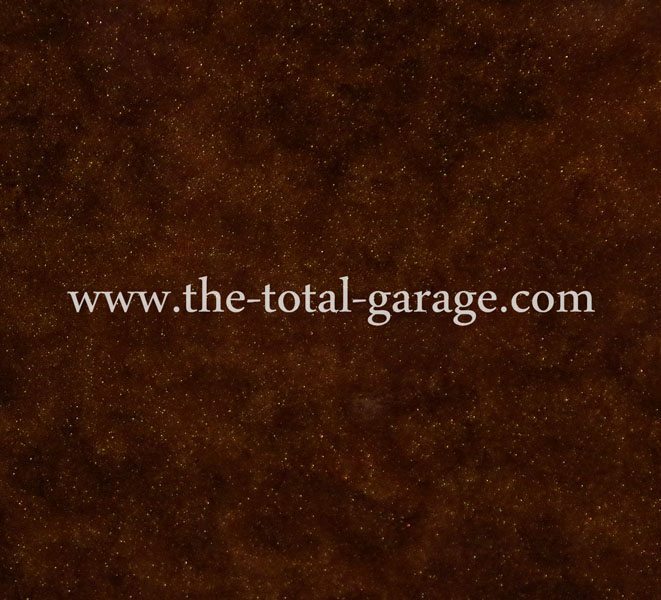 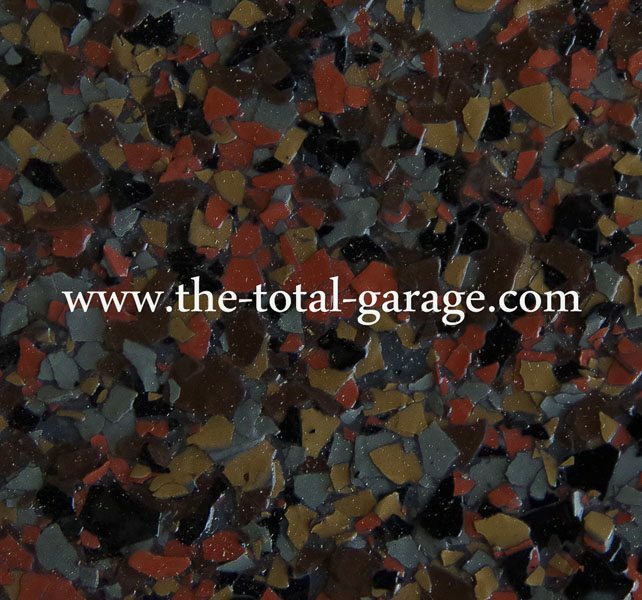 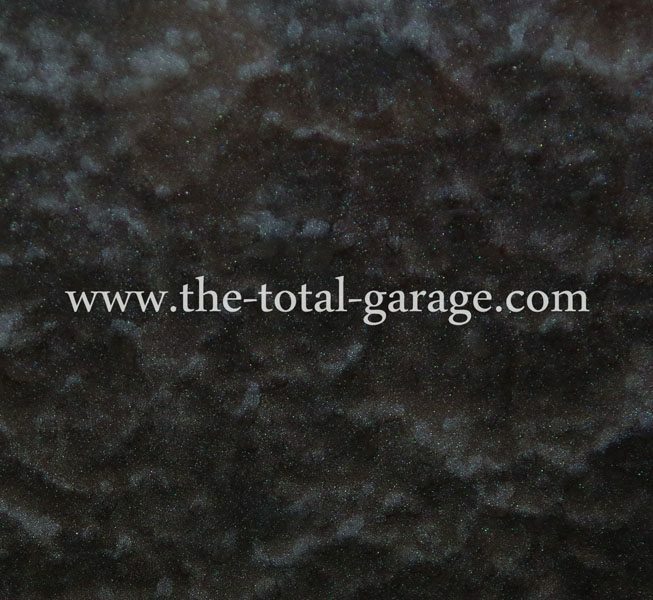 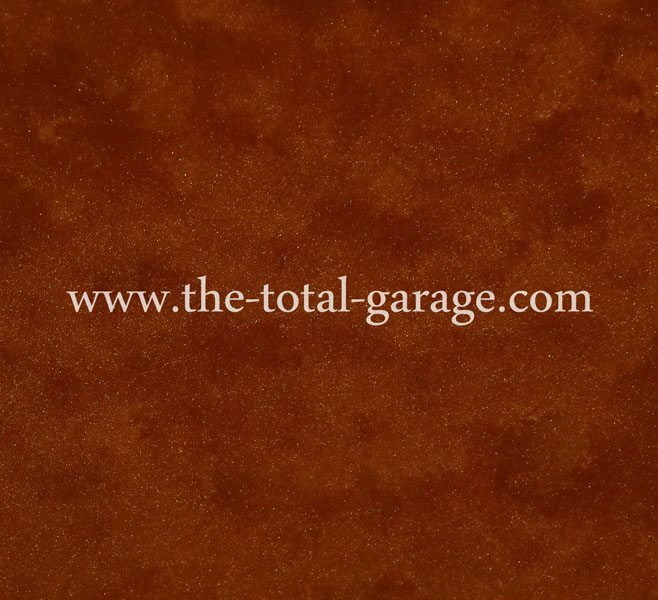 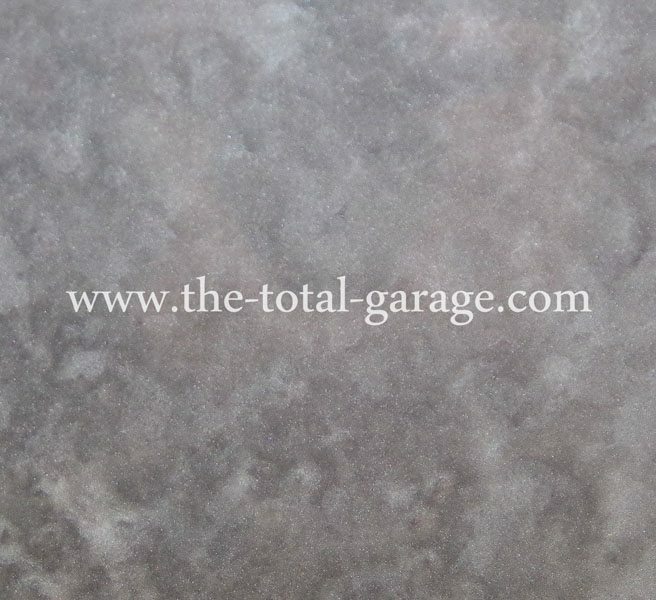 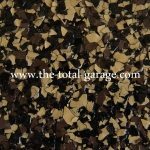 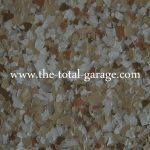 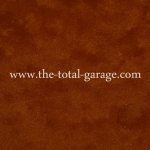 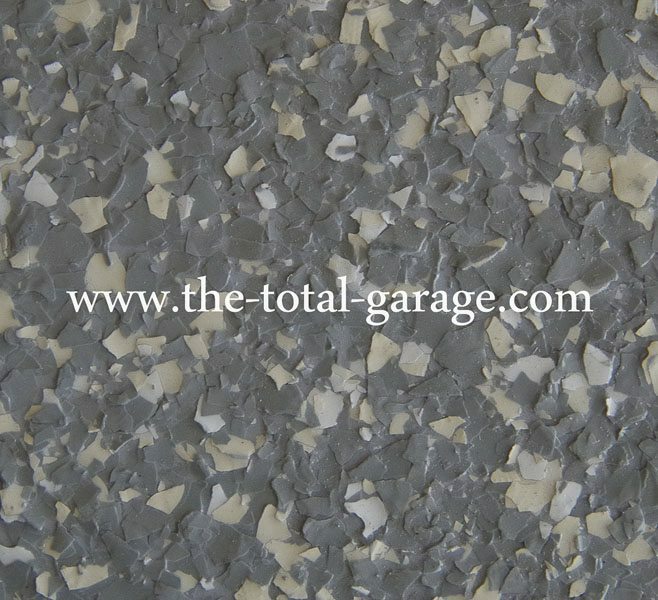 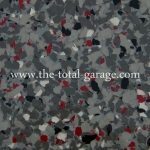 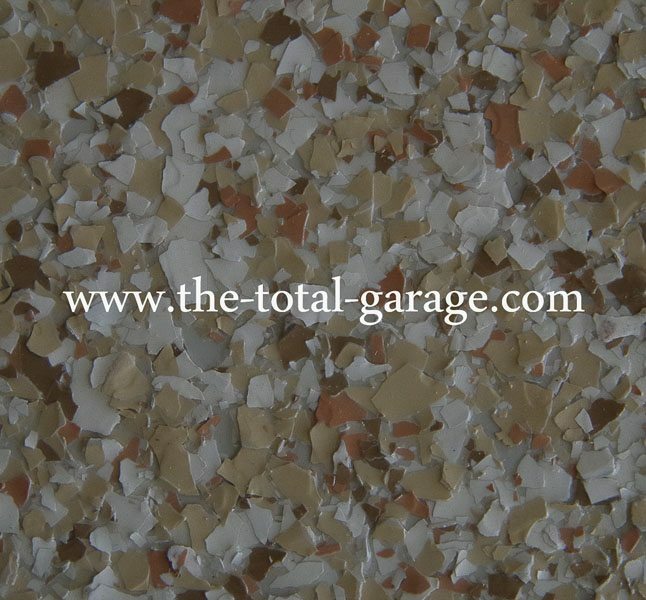 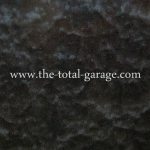 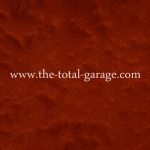 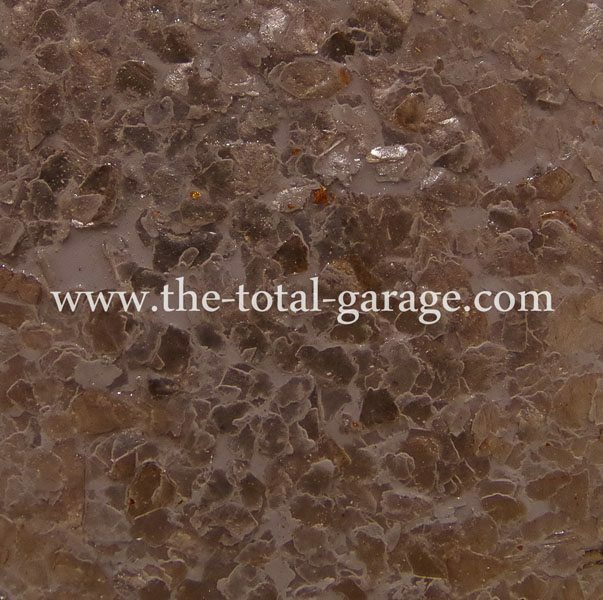 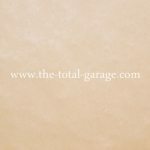 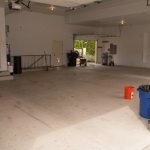 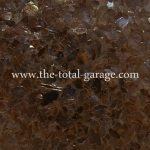 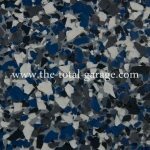 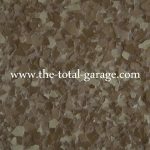 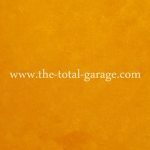 The Total Garage installs only the finest high performance and durable Polyurea garage floor coating systems available for residential use. 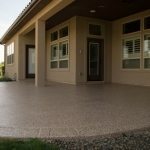 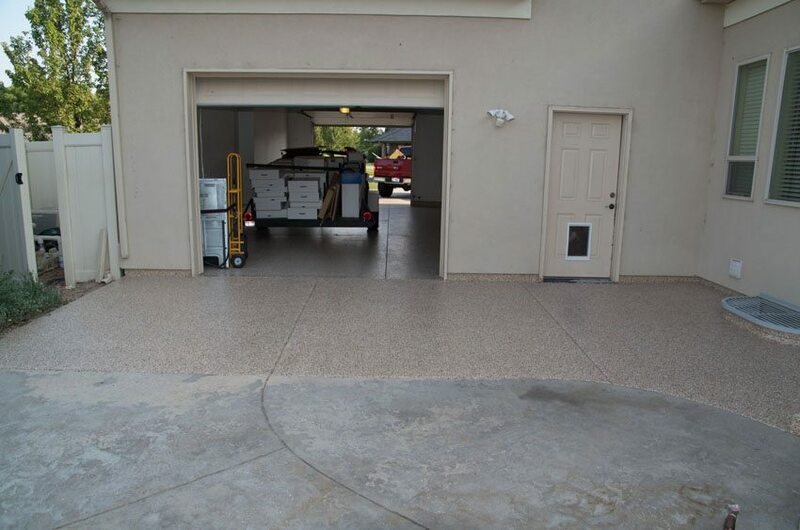 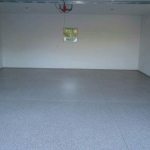 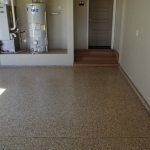 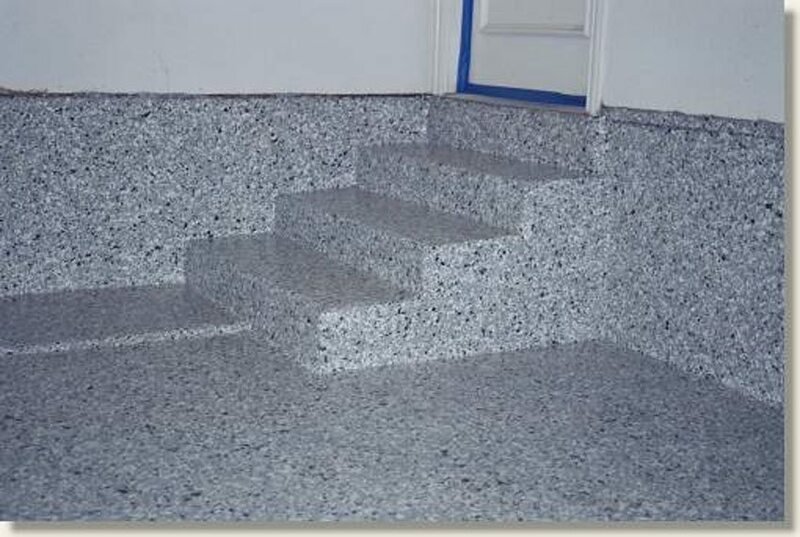 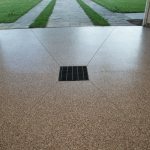 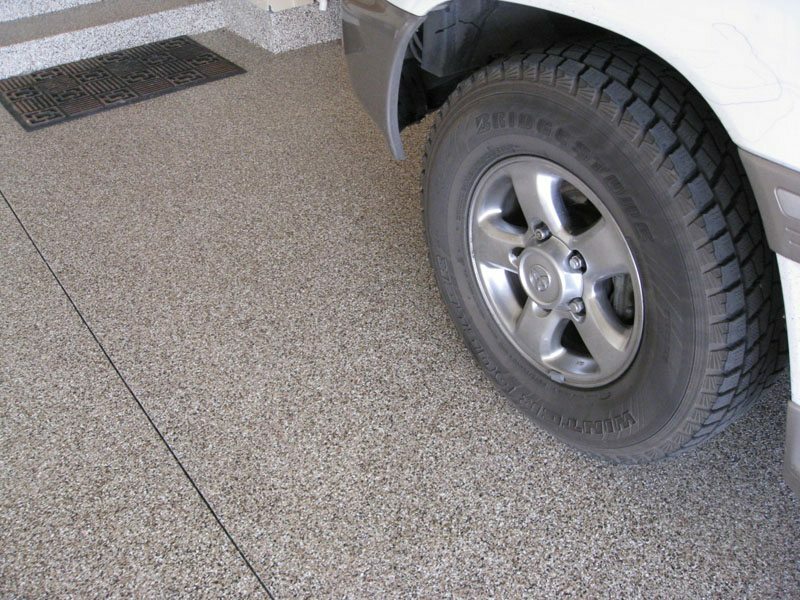 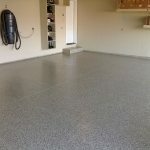 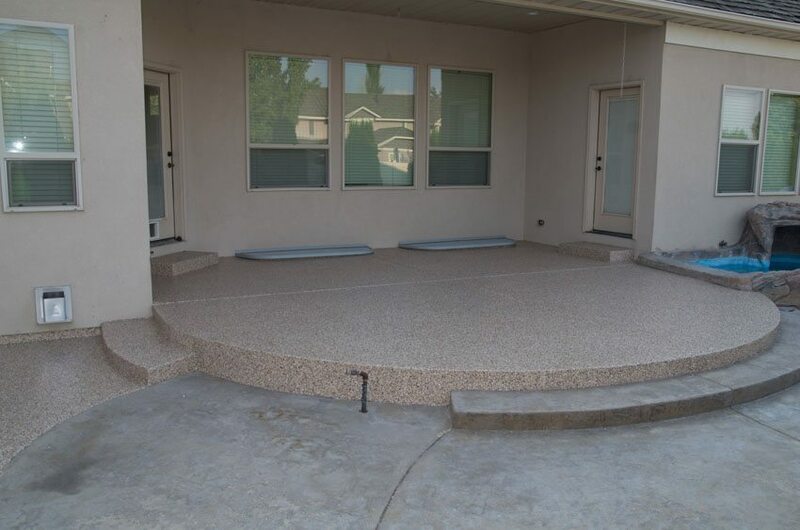 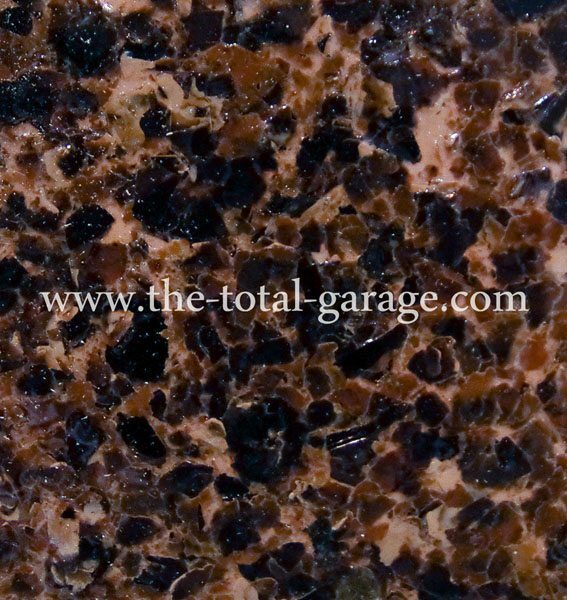 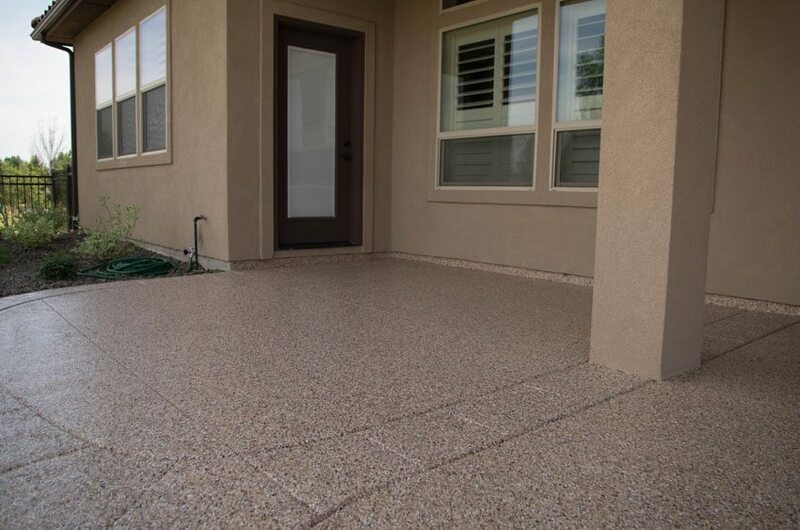 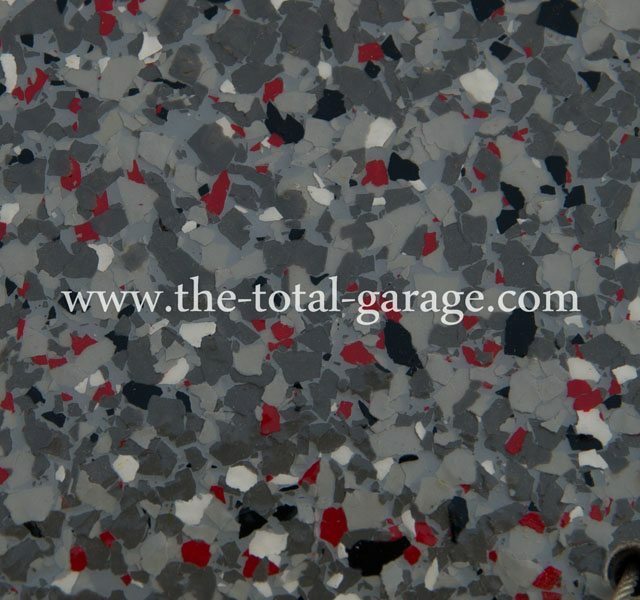 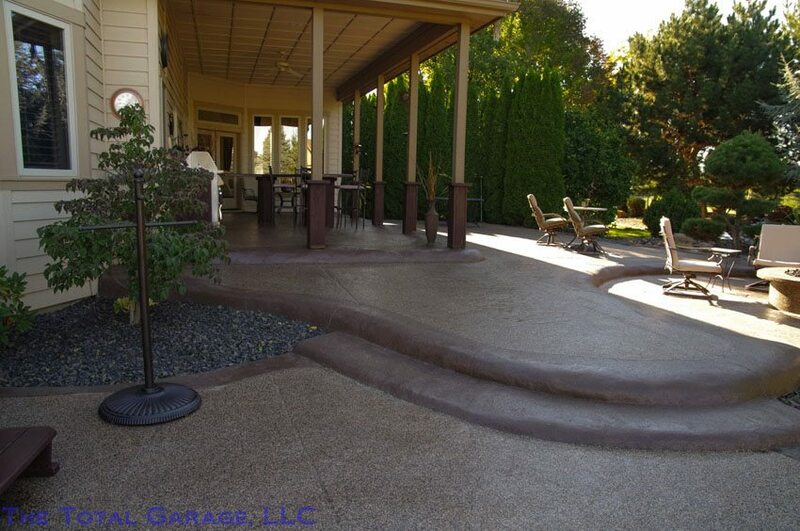 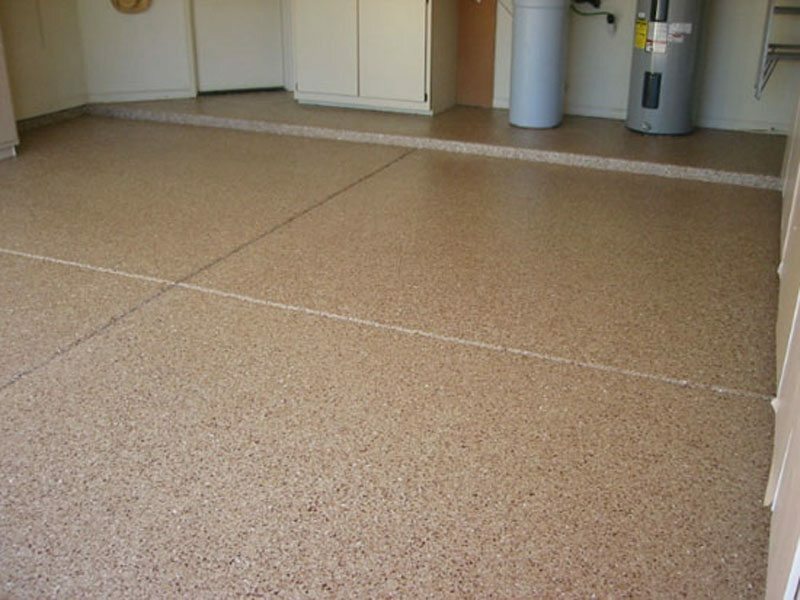 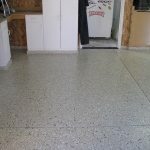 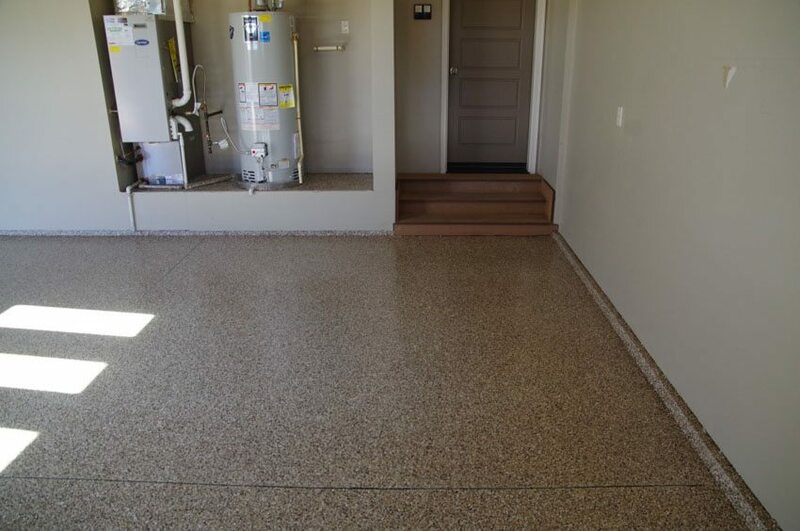 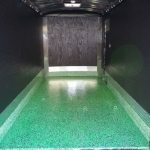 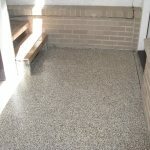 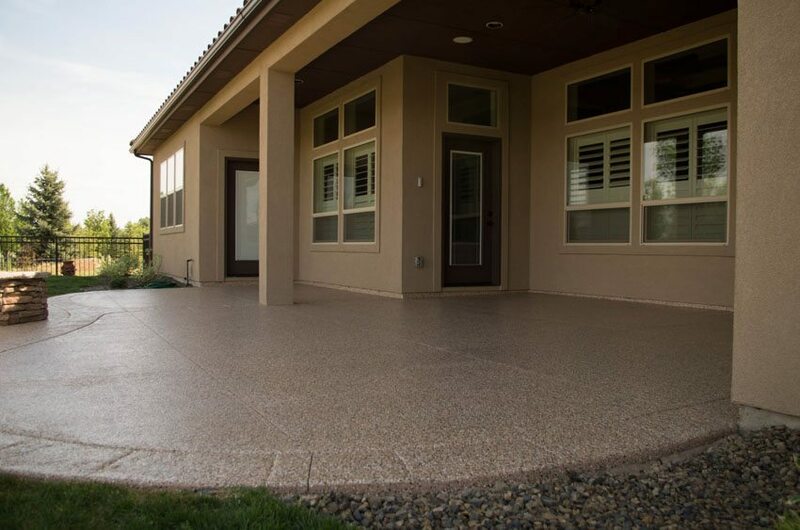 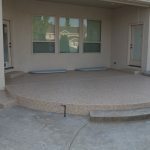 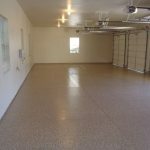 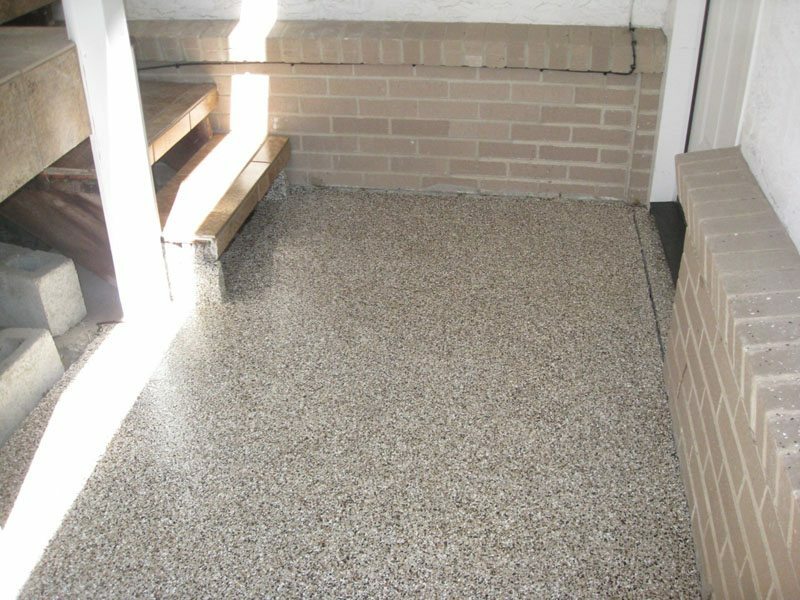 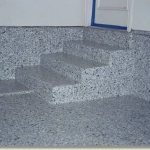 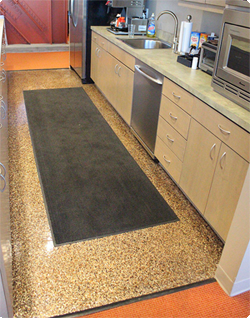 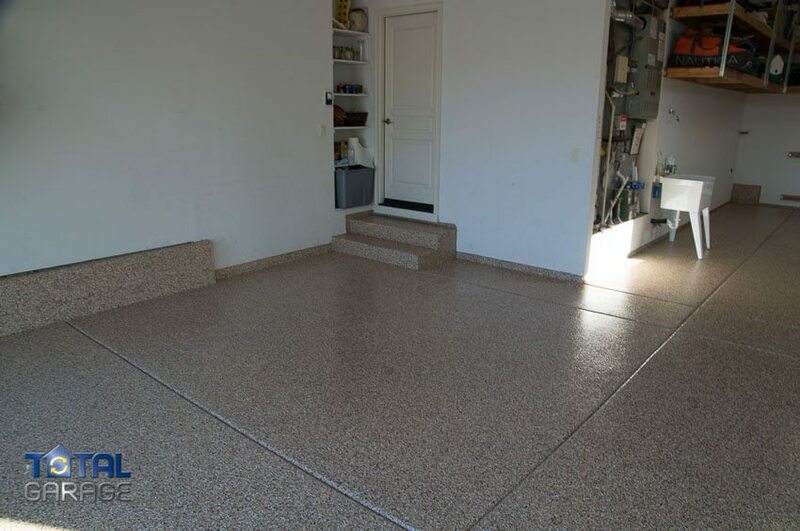 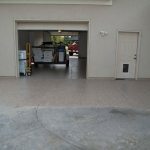 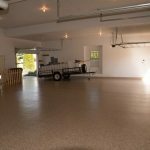 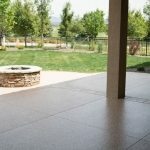 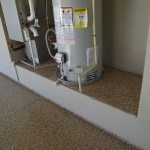 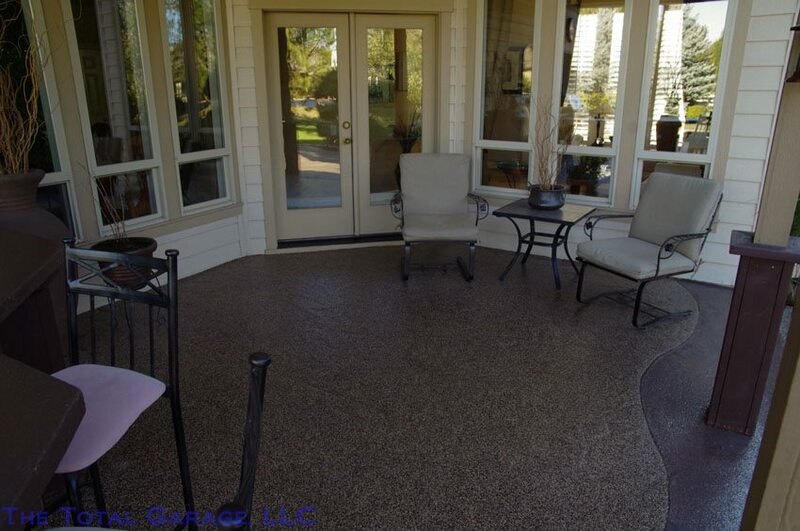 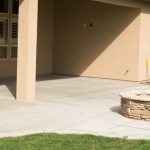 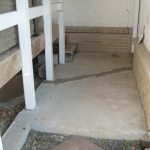 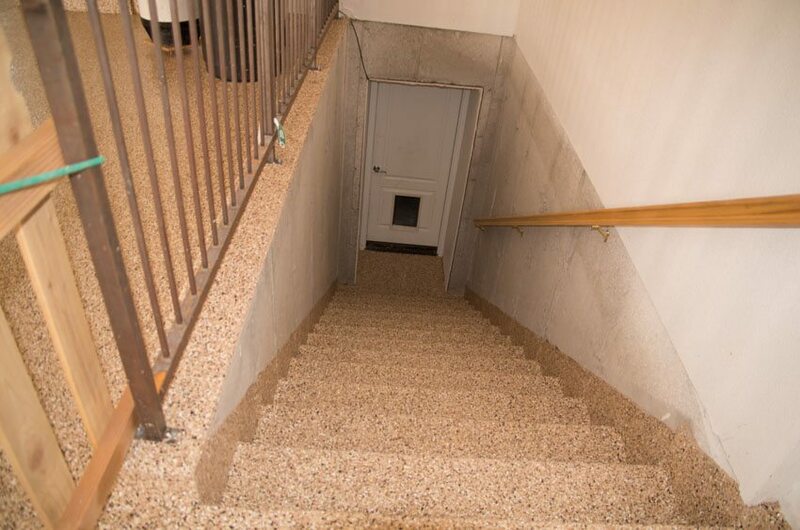 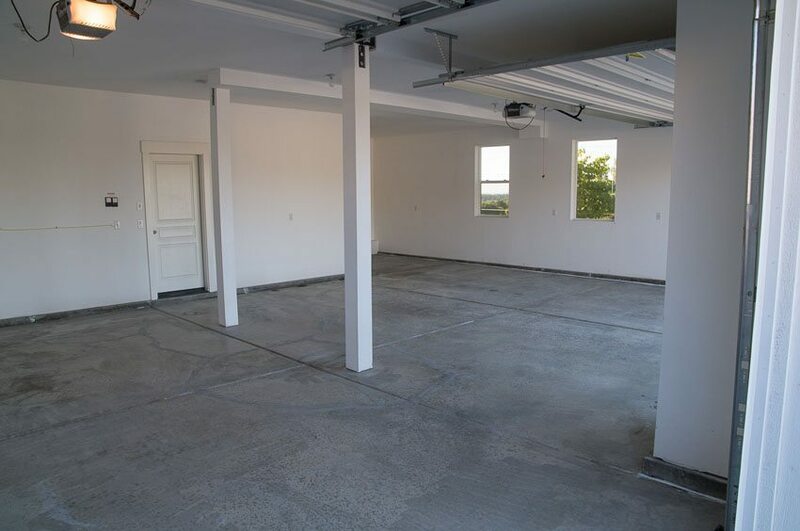 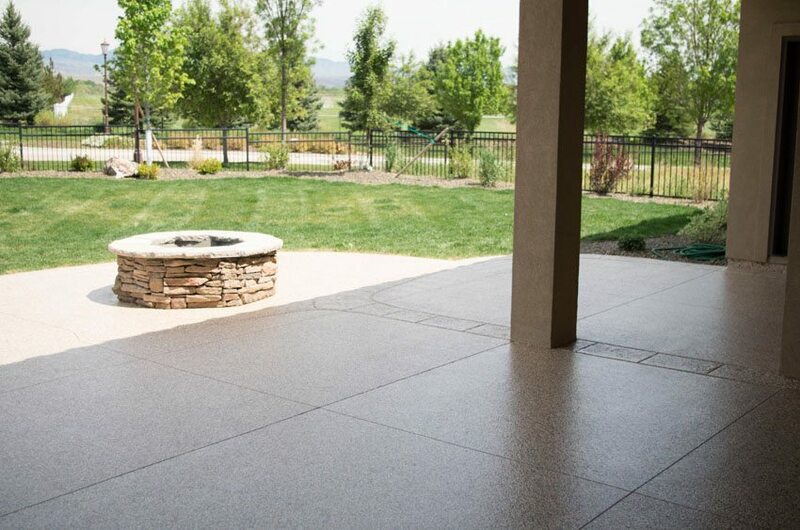 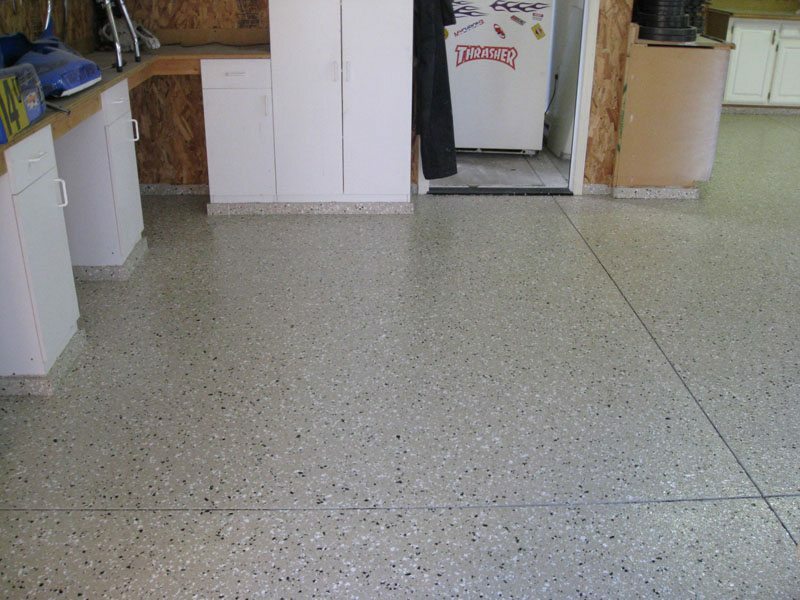 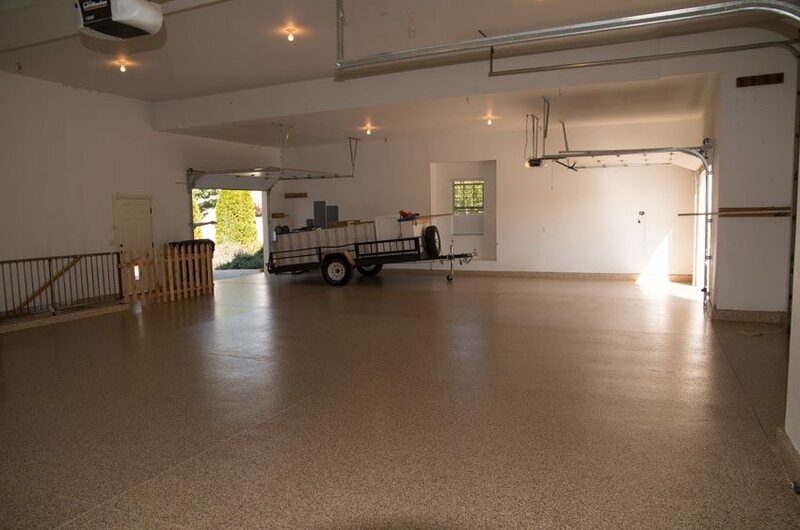 Our premium garage floor coating system is a decorative two component concrete floor coating designed to provide an imitation granite or terrazzo look to residential, commercial, and industrial floors. 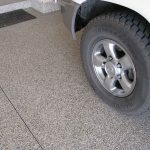 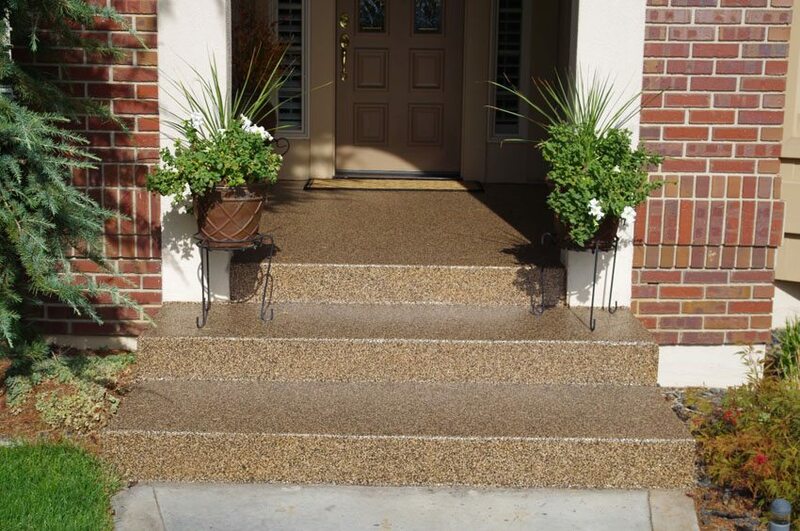 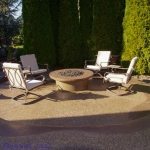 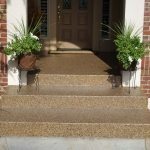 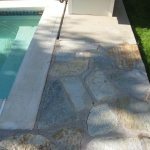 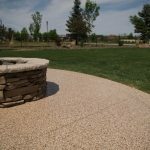 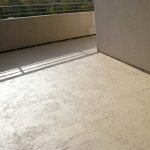 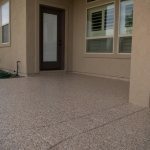 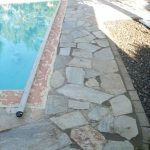 It is available in a variety of color combinations to match any decor, adding beauty and elegance as well as providing a low maintenance, anti-slip resistant surface with excellent resistance to staining, impact and abrasion. 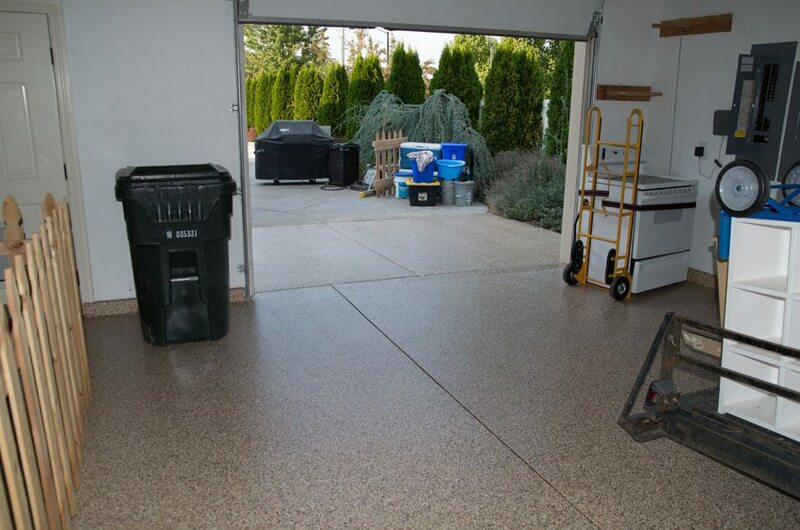 The high performance products used in our premium coating systems offer the latest advances in technology to provide a fast drying, durable system that will last indefinitely when properly maintained. 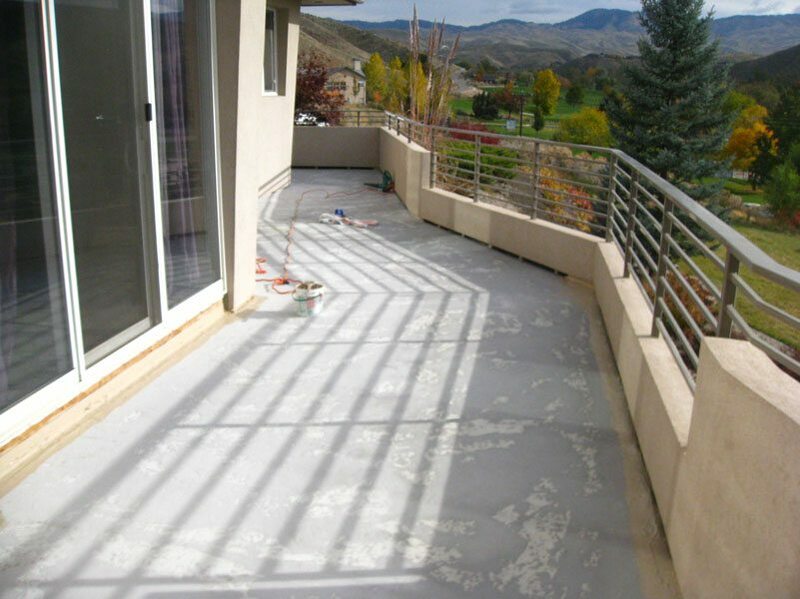 Our coatings provide the best protection against moisture vapor transmission problems, hot tire lifting, and yellowing from the ultra violet rays of the sun. 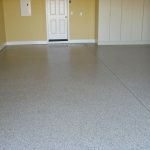 We strongly believe in using ONLY industrial grade epoxies and polyureas related products that require professional installation. 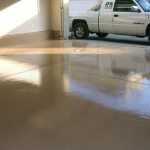 You will find that epoxies sold through your home improvement stores do not stand up against the best. 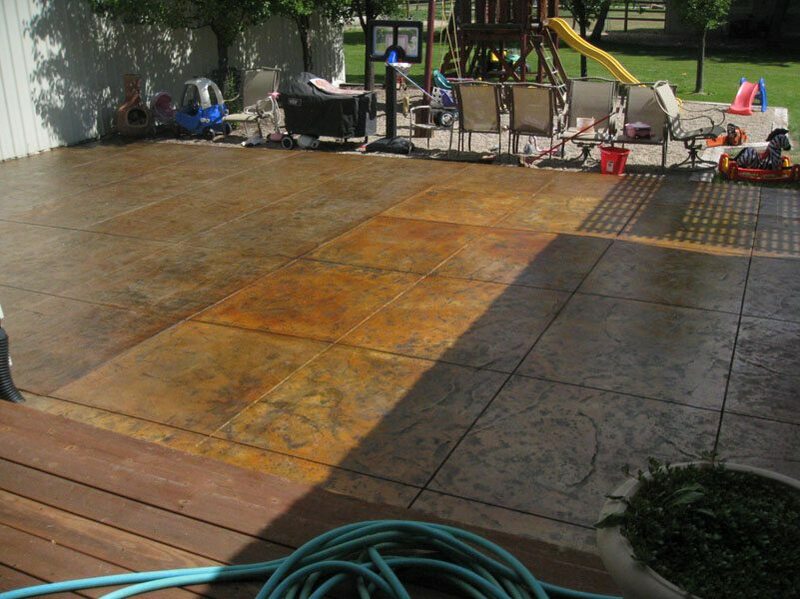 How long does it take to install the Premium Coating System? 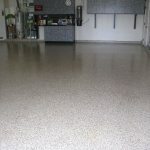 One of the greatest advantages this product has over existing Epoxy/Polyurethanes is its application and curing periods. 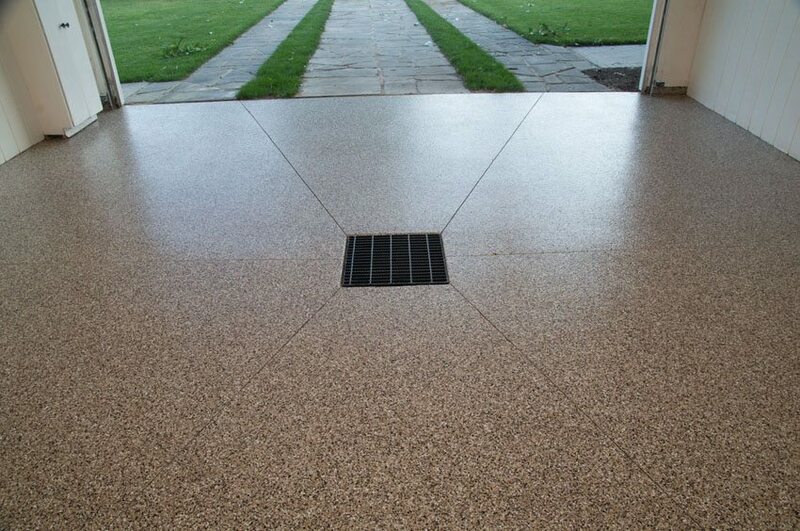 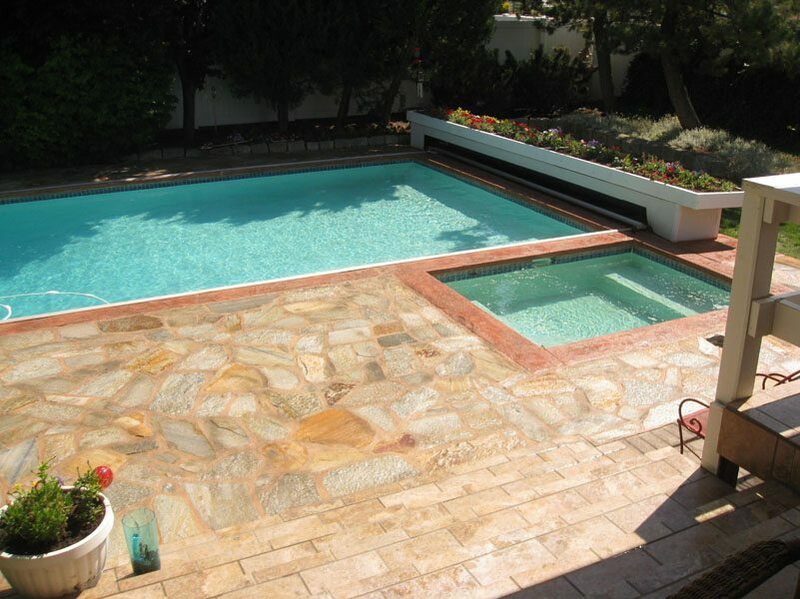 Our installations typically take between two and three days depending on weather conditions. 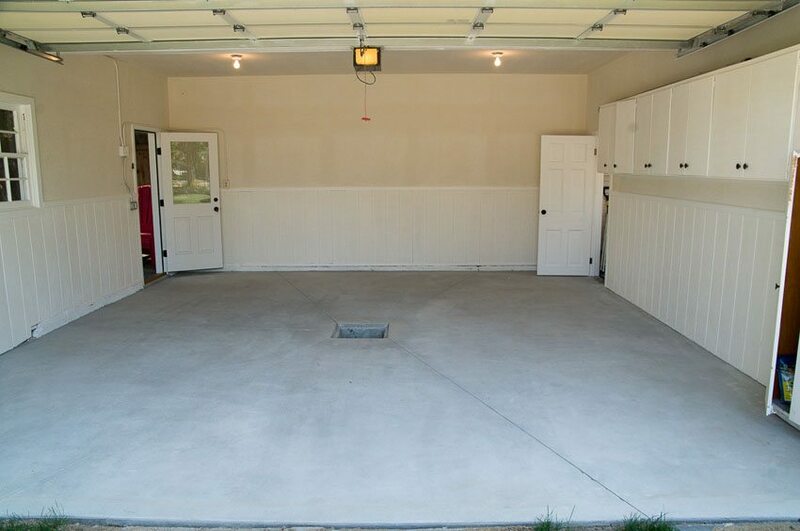 How long before I can drive on in my garage? 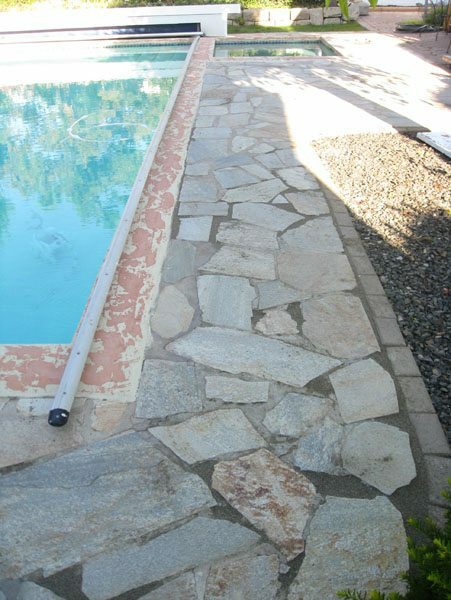 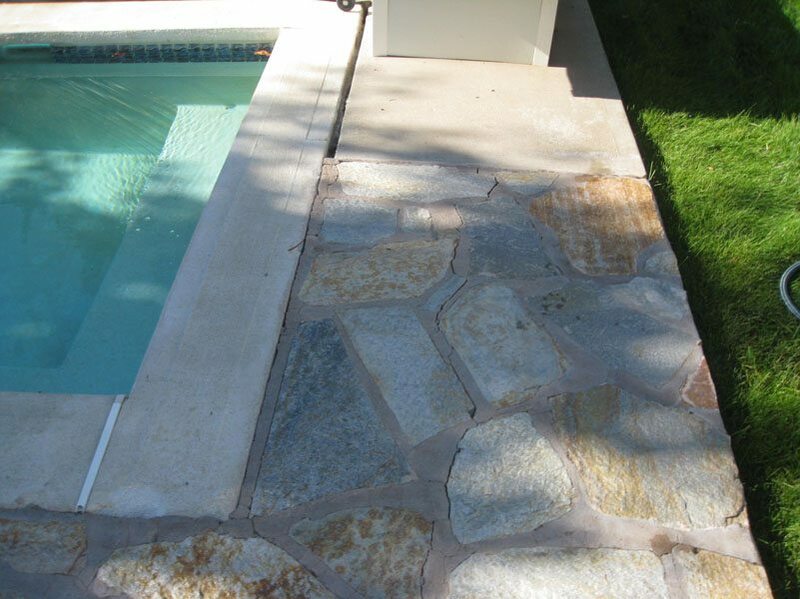 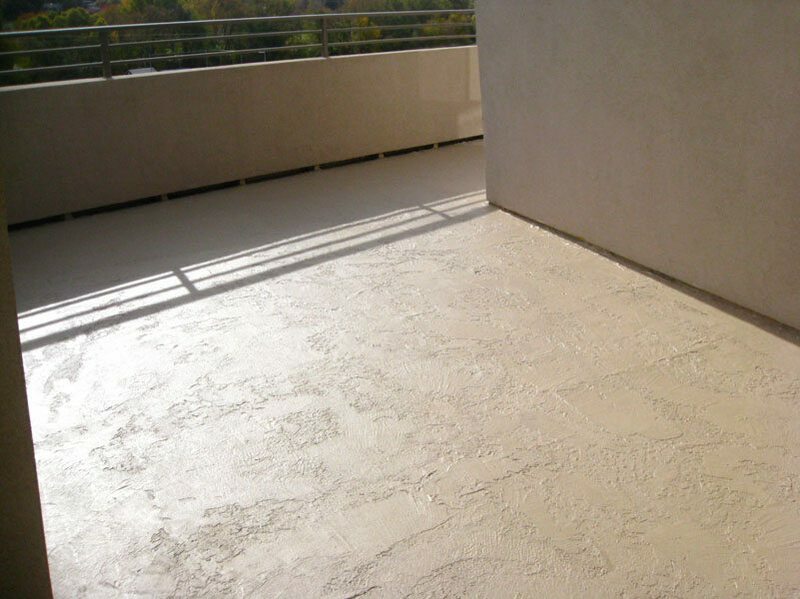 A two day curing period is required after installation to ensure a quality finish depending on weather temperatures. 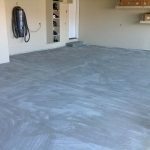 What about cracks in my cement floor? 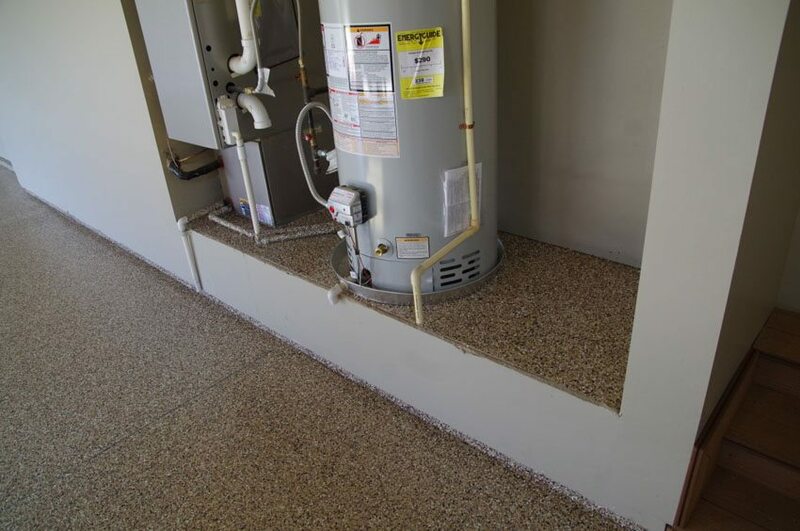 Minor cracks are repaired at the time of installation. 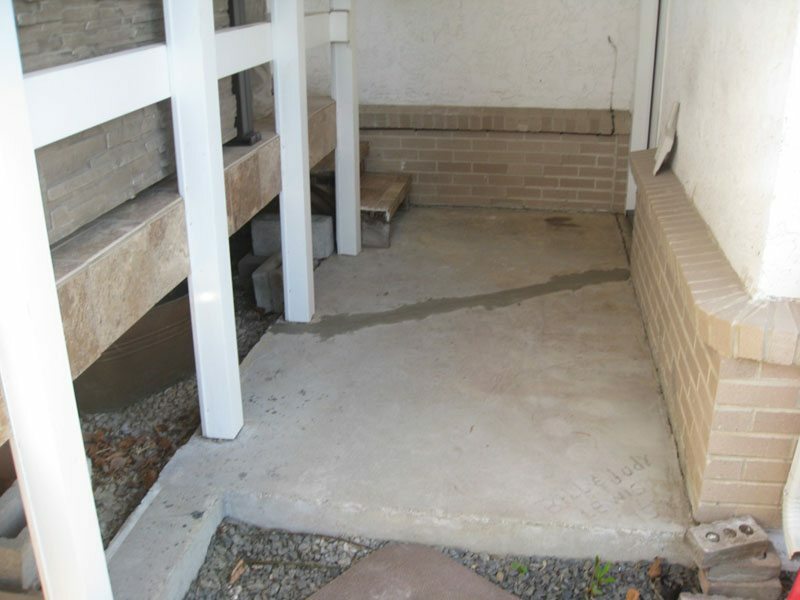 Due to potential shifting in the slab or underlying soil, it is not possible to warrant that cracks will not appear in the future. 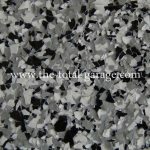 The price varies due to the coating options you select. 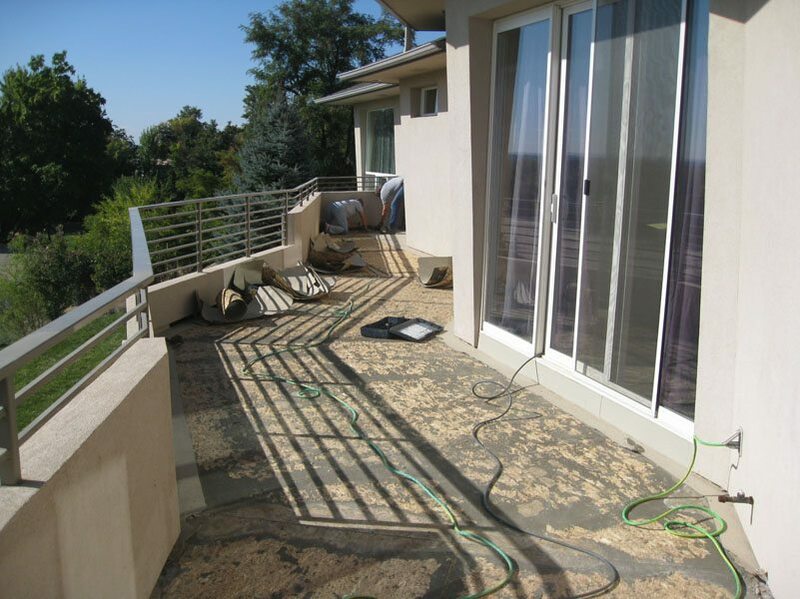 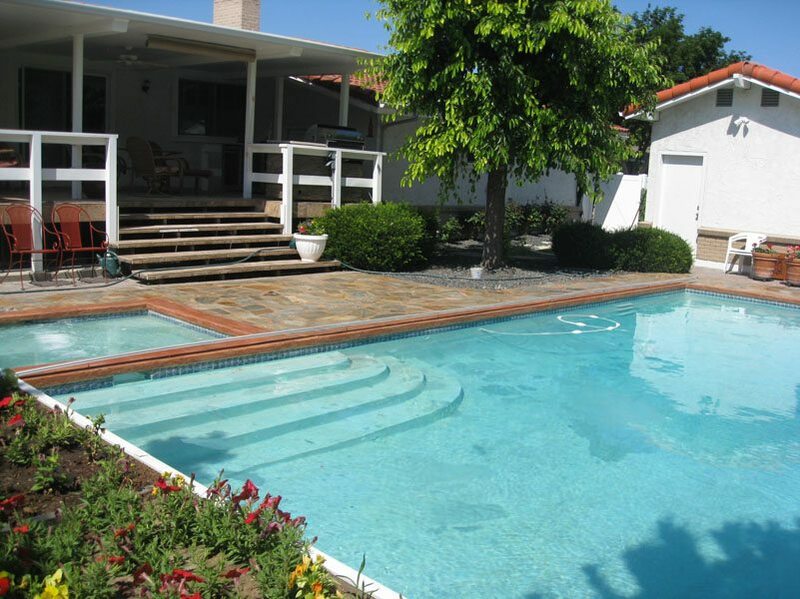 Our in home designer will provide you a detailed price estimate at no cost or obligation. 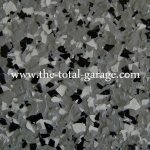 They will also provide samples and pictures of the variety of colors and applications offered. 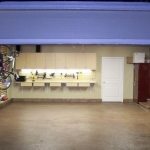 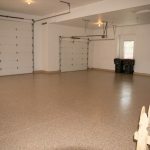 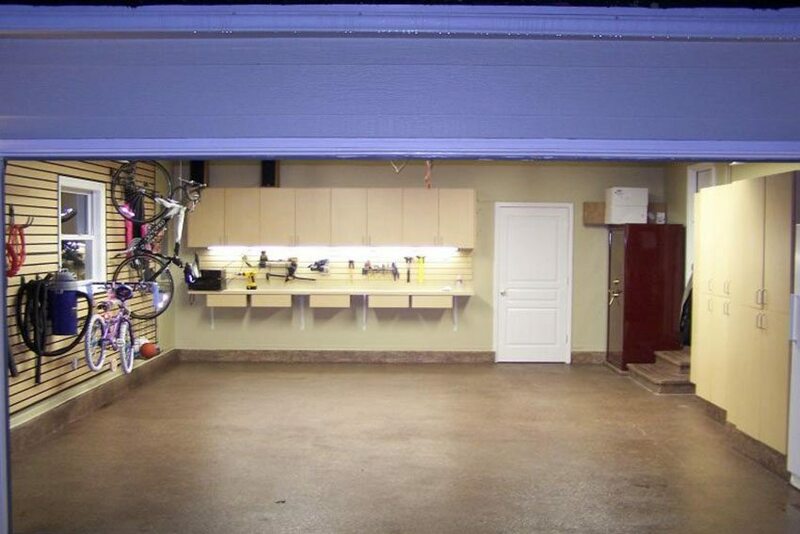 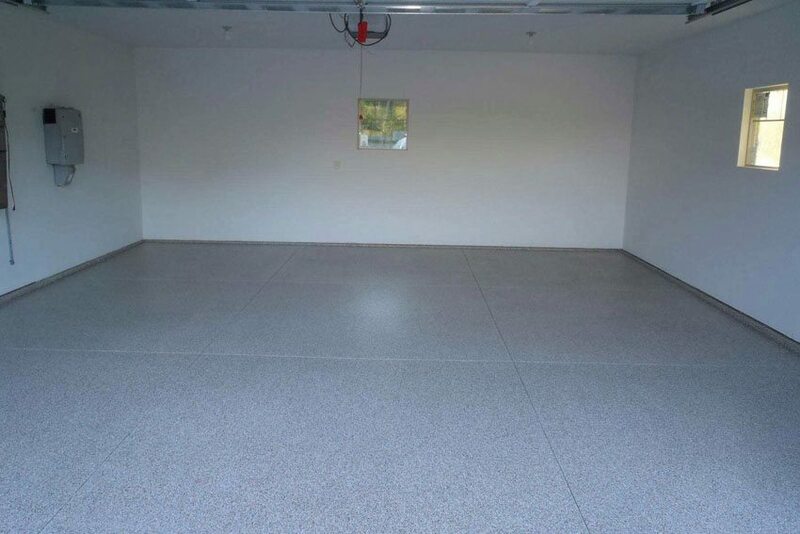 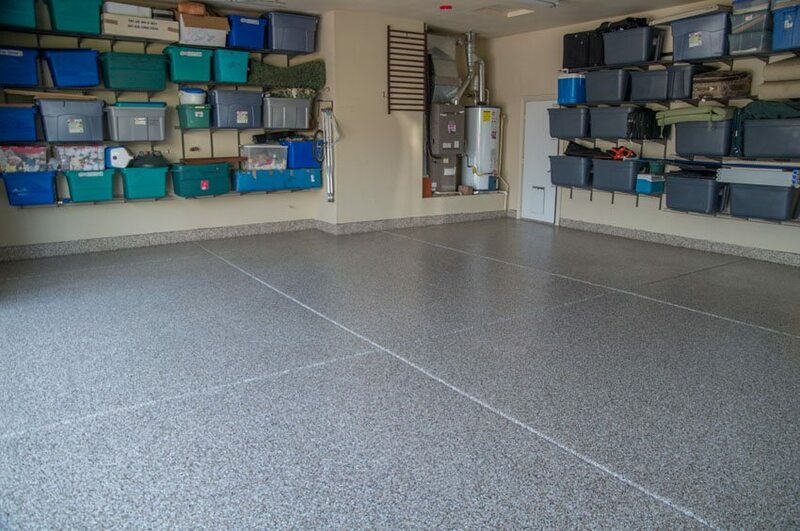 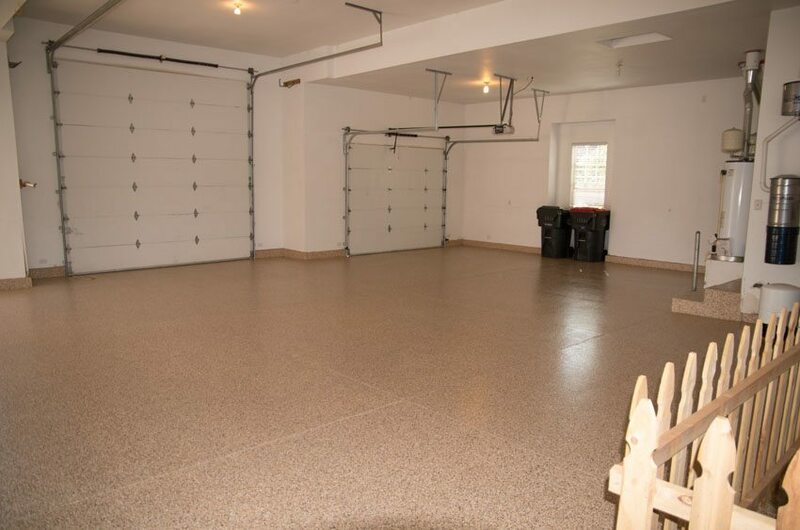 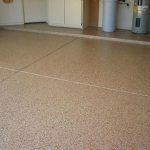 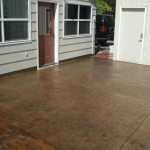 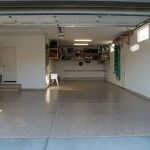 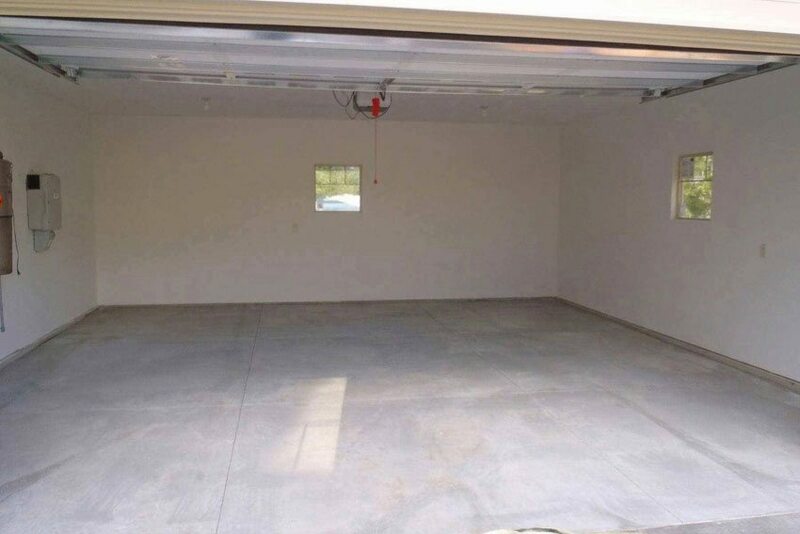 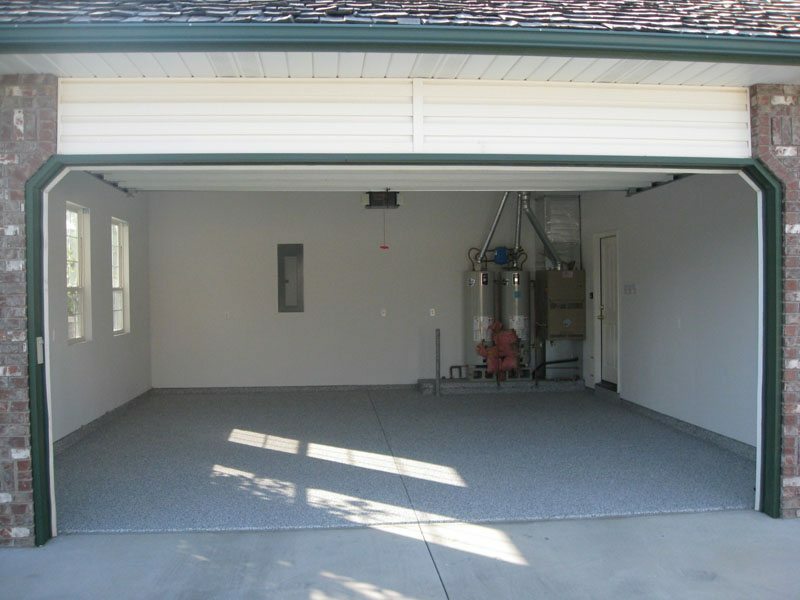 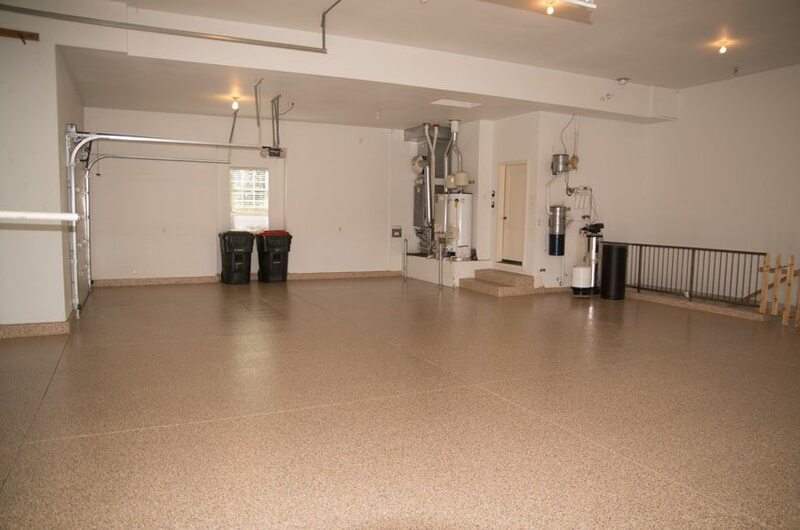 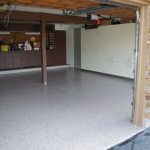 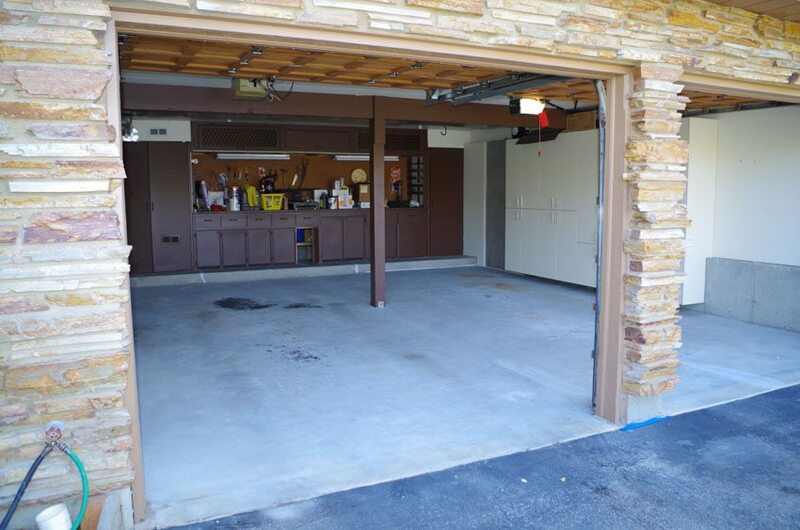 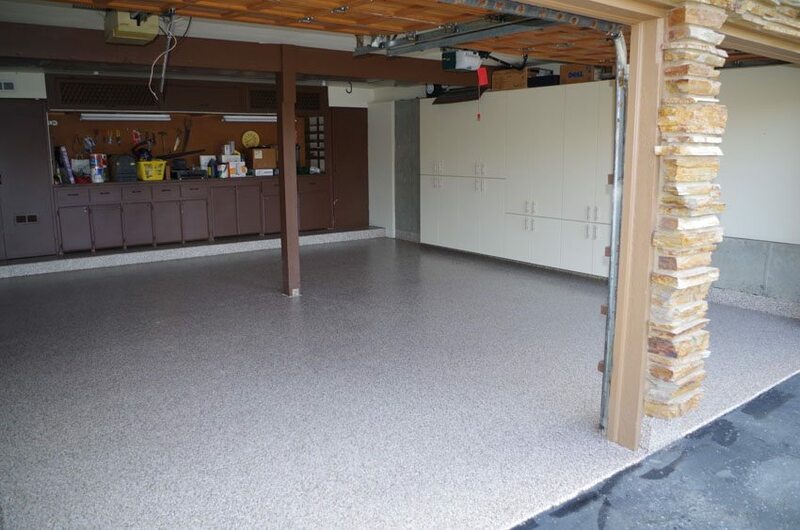 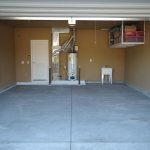 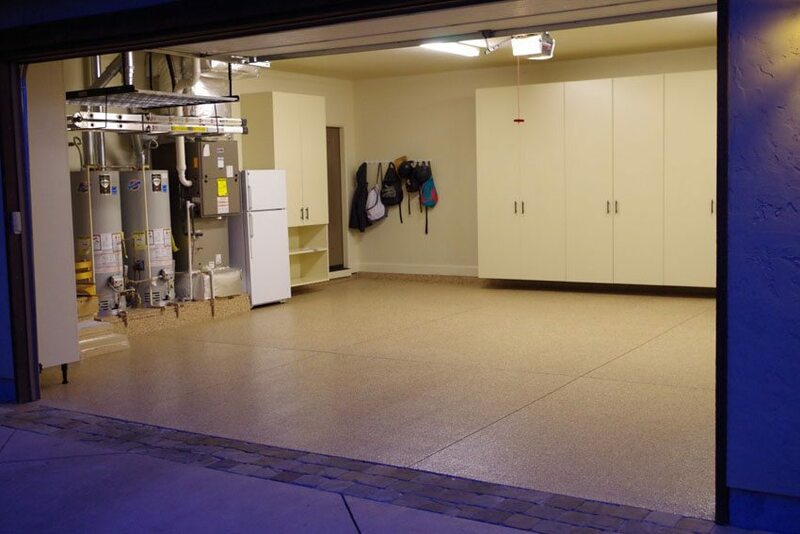 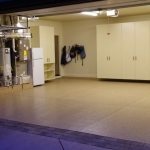 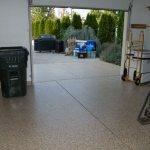 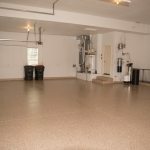 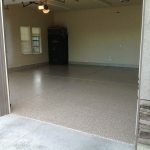 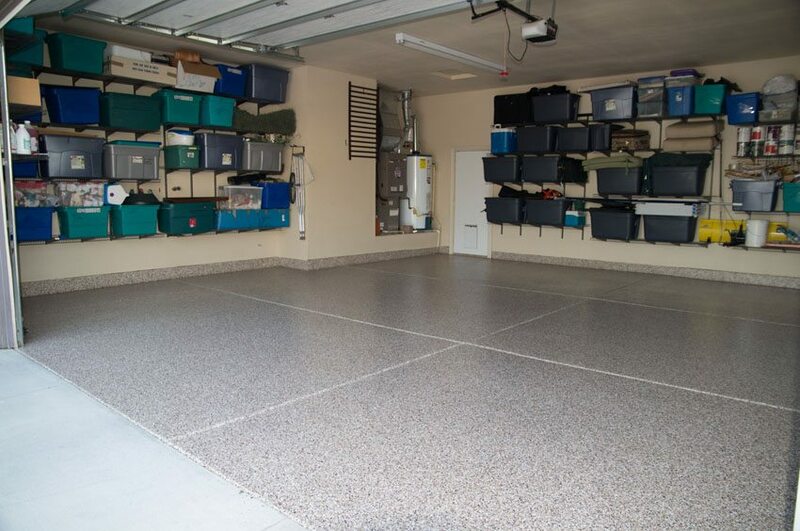 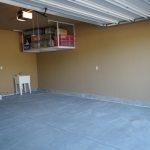 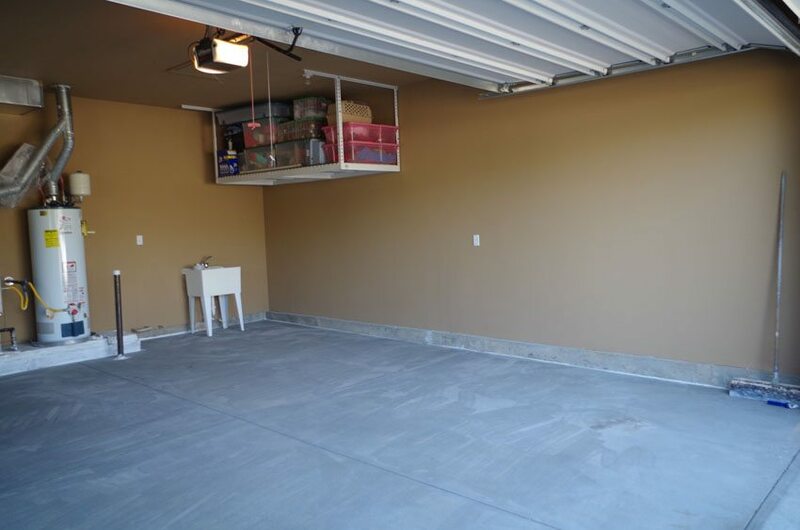 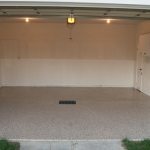 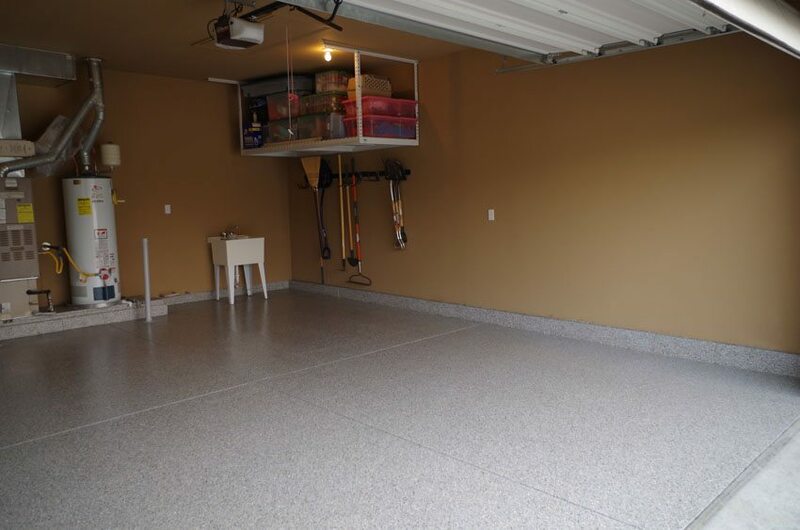 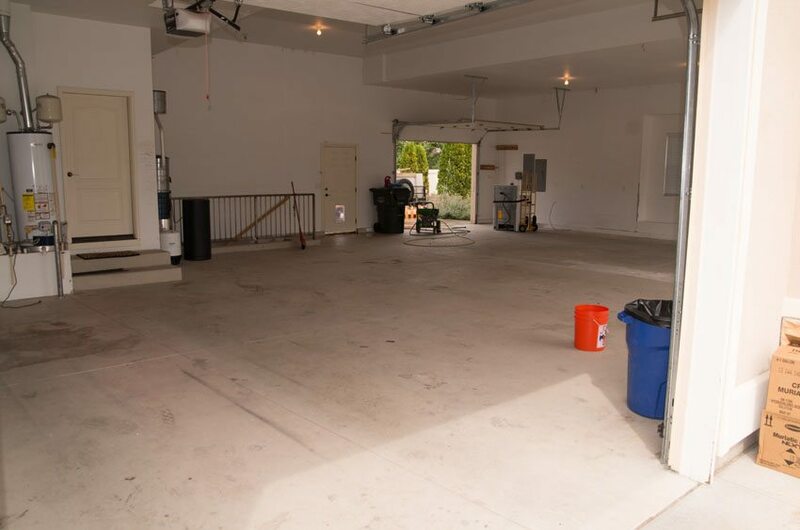 It is important to take pride in your beautiful new garage floor coating, and that should begin with proper care and maintenance. 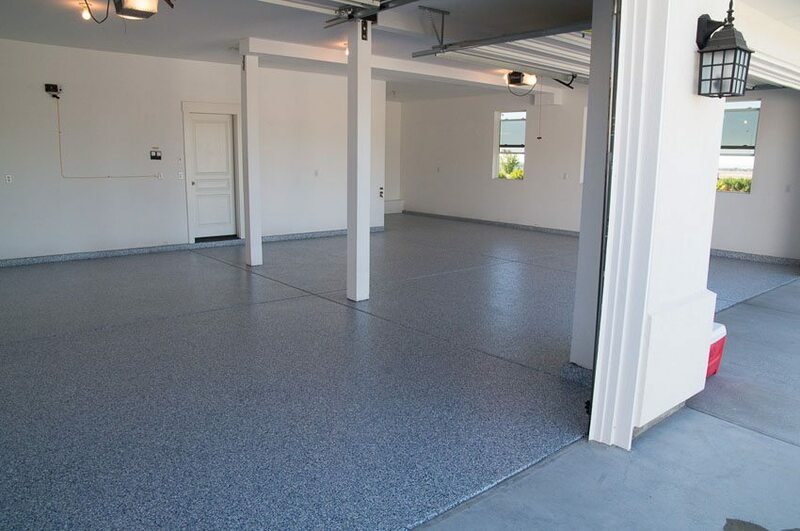 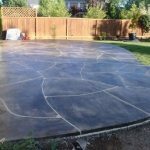 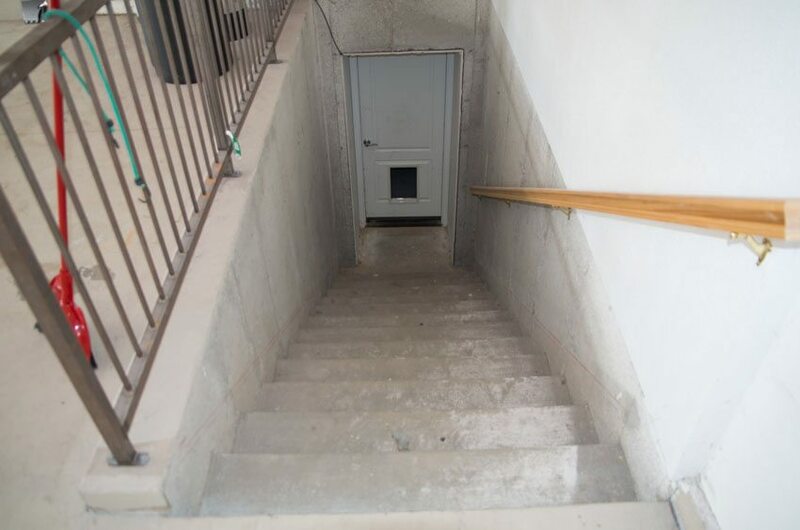 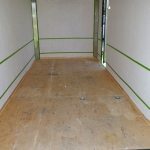 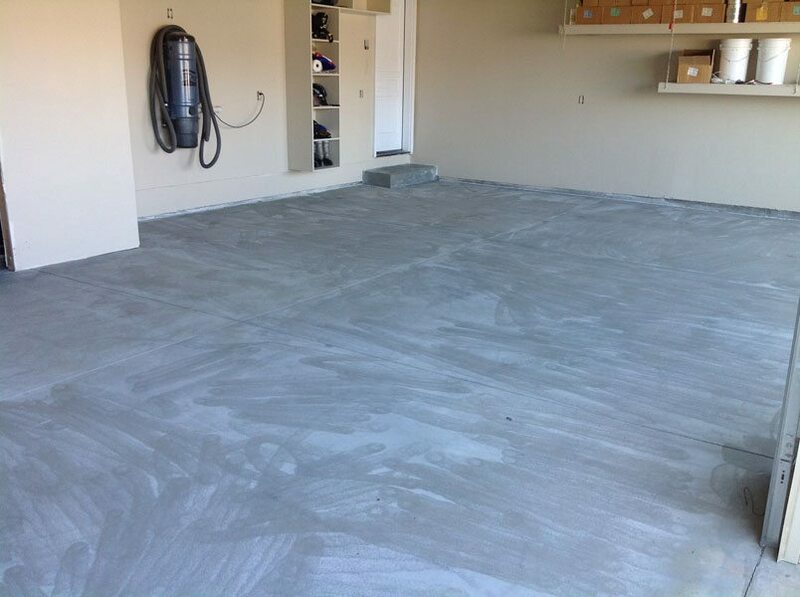 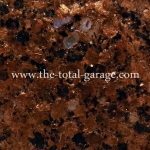 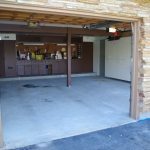 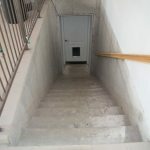 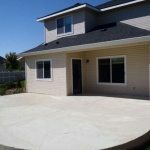 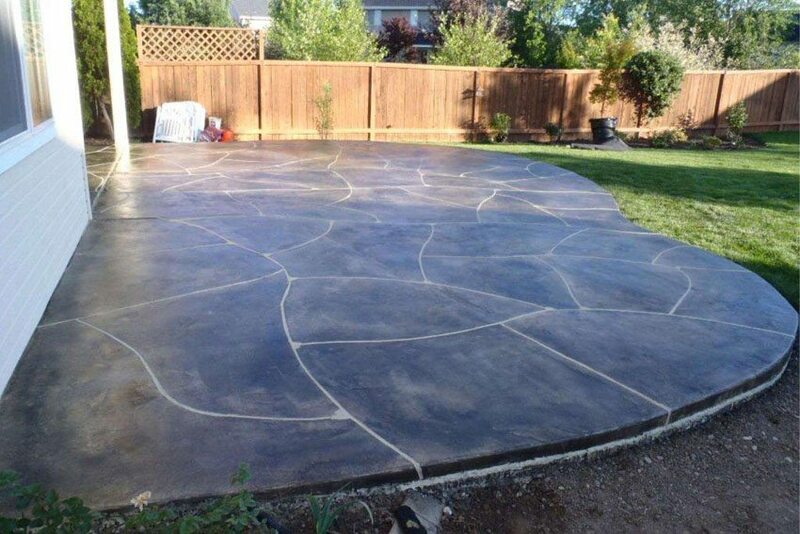 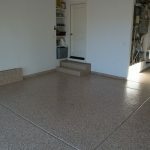 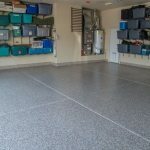 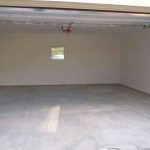 Proper care involves following the four following steps in order to ensure that your new garage floor continues to be as beautiful as the day that it was originally installed. 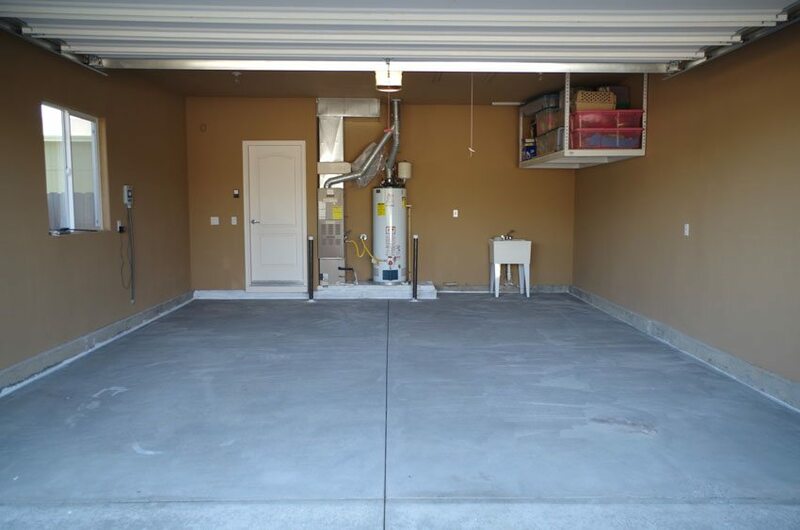 Make sure to sweep and blow out all debris and dust that are loose. 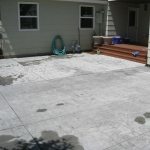 Mix two ounces of vinegar and a gallon of warm or cold water in a large bucket. 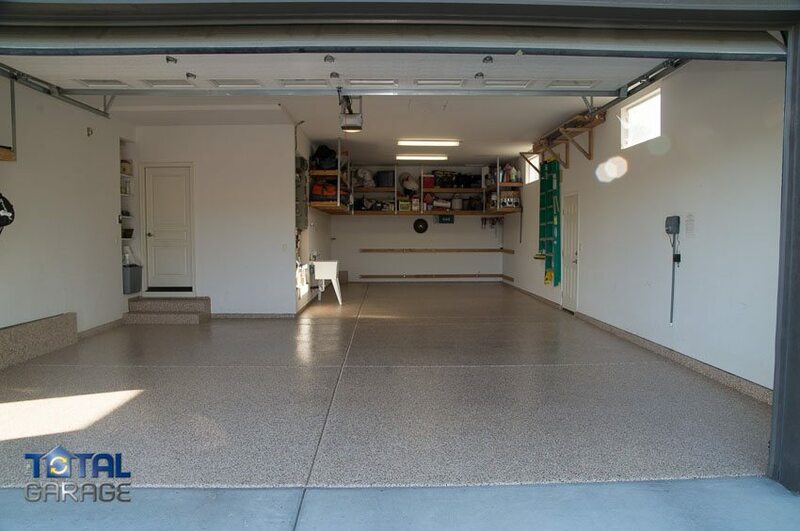 Apply the vinegar and water solution to the garage floor coating surface with a traditional mop. 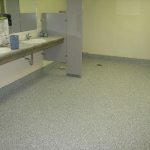 There is no need to rinse the floor, just make sure that it is allowed to dry before you allow foot or vehicle traffic. 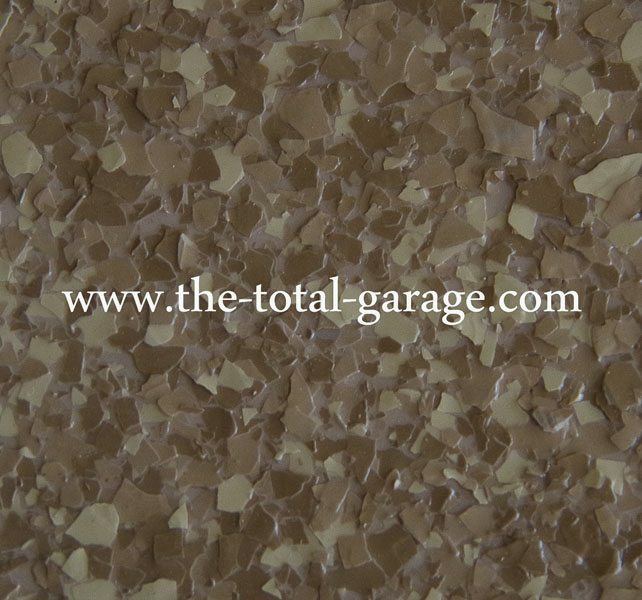 Our unique color Metallic Mica Flakes make resinous flooring glisten with natural crystalline beauty. 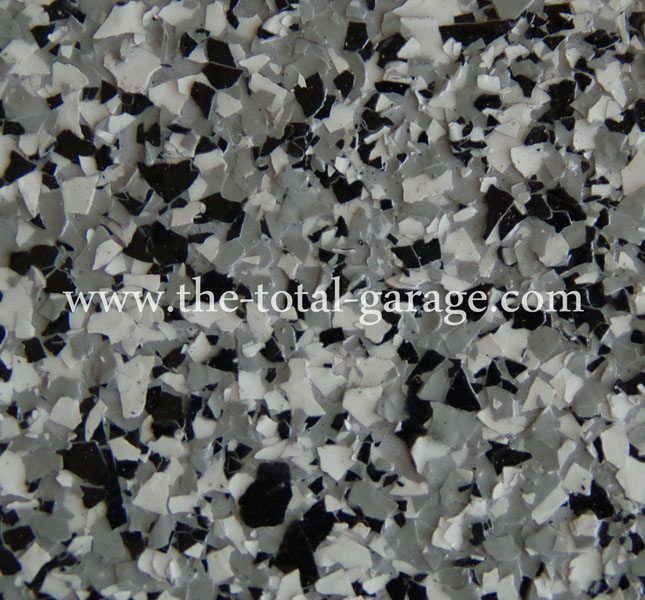 These unique metallic flakes are derived from a group of sheet silicate minerals, including muscovite and phlogopite, which have highly perfect basil cleavage. Through a calcination manufacturing process, the distinctive hexagonal atom arrangement of the mica minerals is separated into sheet-like pieces and broken down into standardized flake sizes. 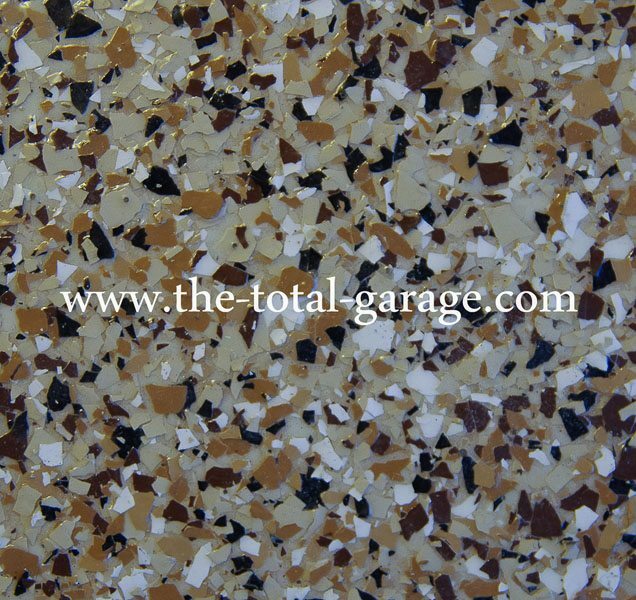 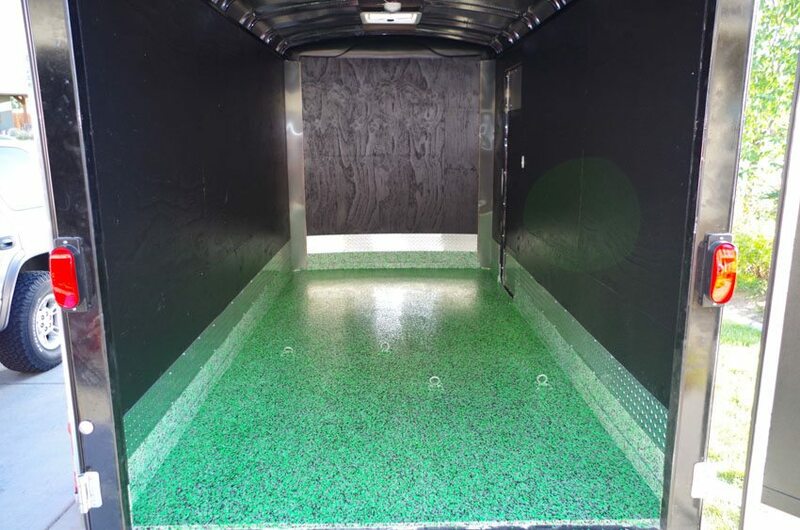 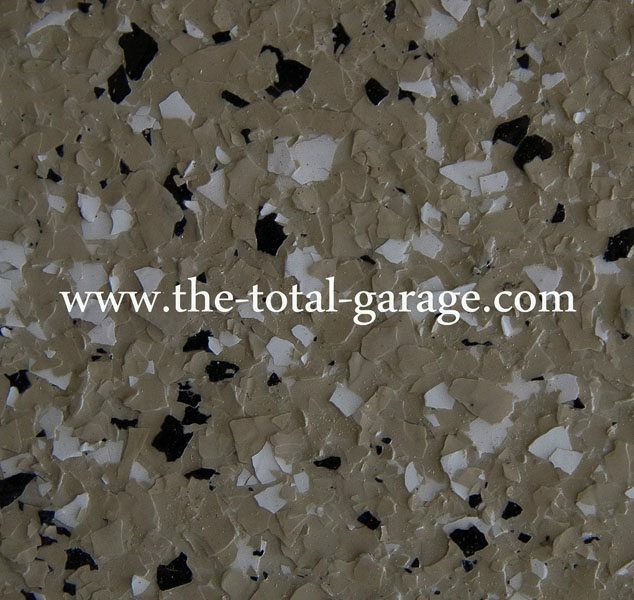 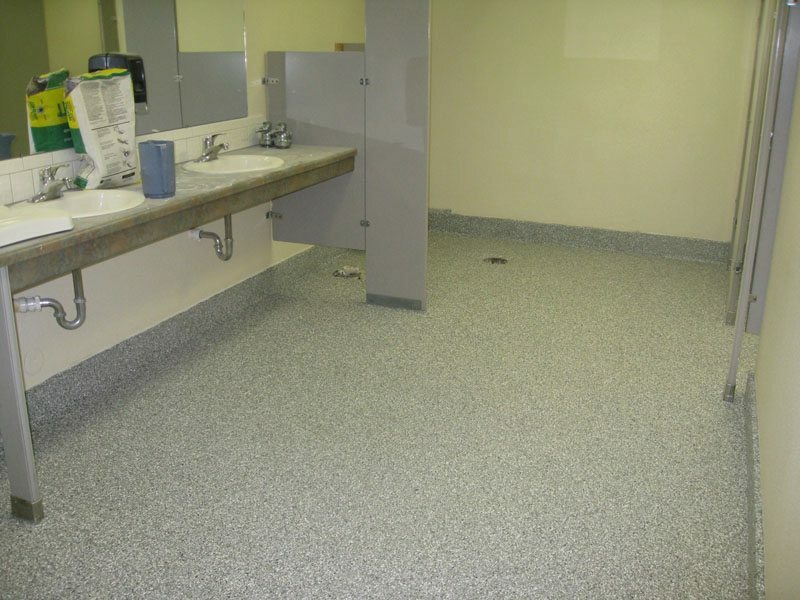 These unique flakes provide a natural metallic luster to resinous flooring systems that cannot be achieved with other engineered materials. 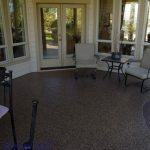 Choose from 6 gorgeous signature colors. Metallic finishes are the next step in floor coating creativity. 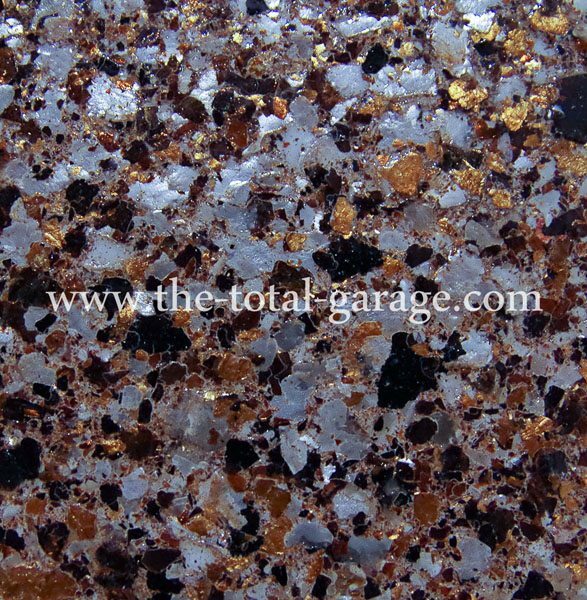 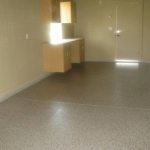 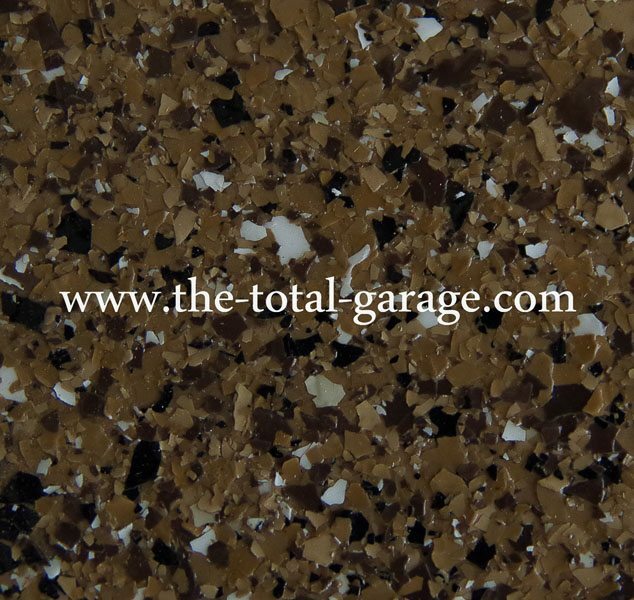 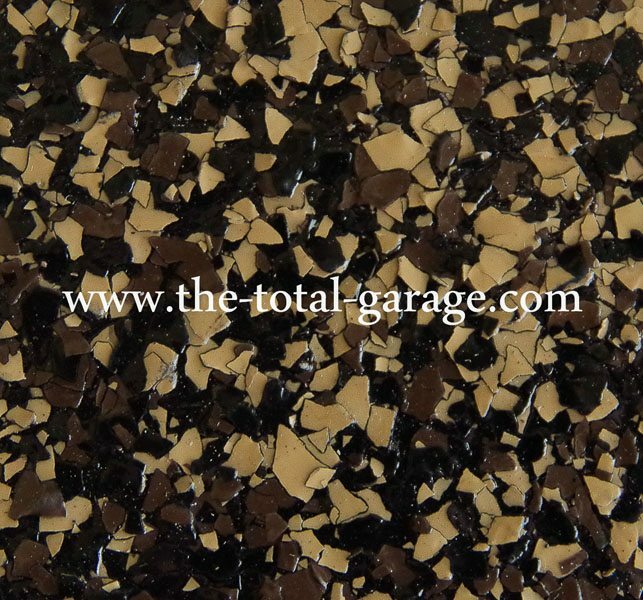 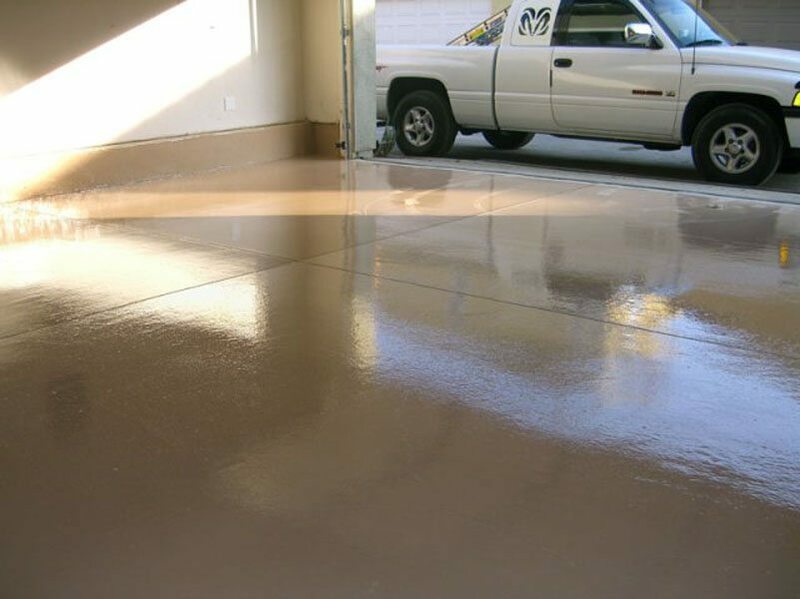 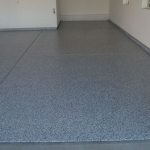 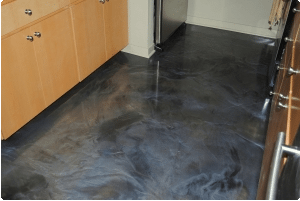 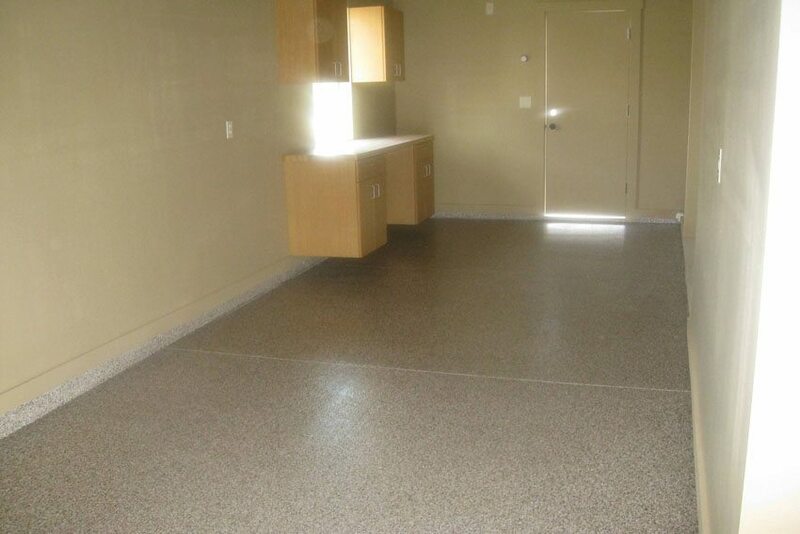 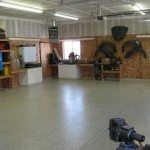 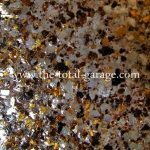 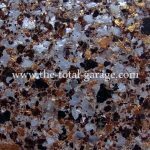 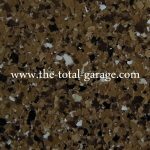 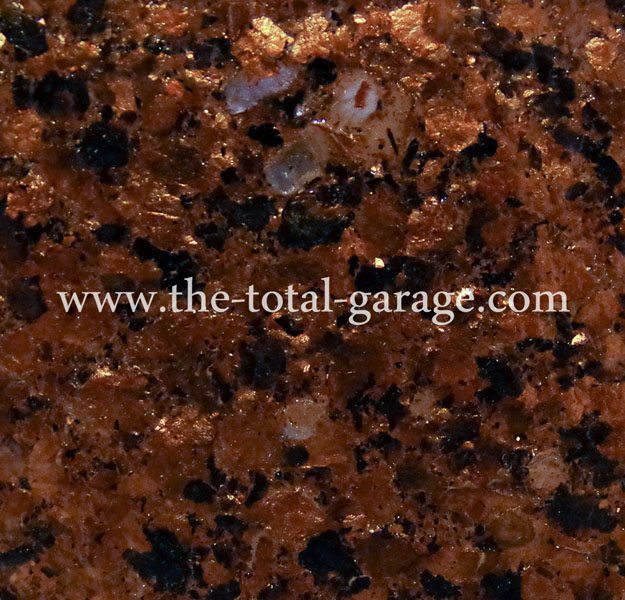 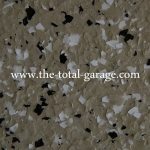 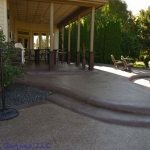 Your custom Boise garage floor will come alive with our metallic epoxies that are used to create dynamic and flowing effects for any residential or commercial interior floor. 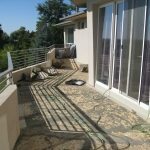 The floor will seem to shift and move in undulating waves providing a striking 3D appearance. 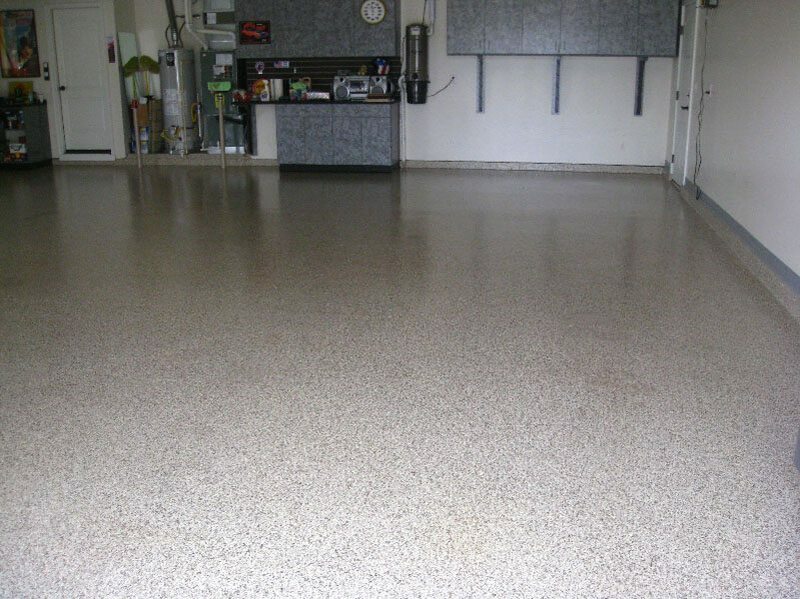 There are 11 pearlescent colors to choose from to create a one of a kind custom floor that everyone will love. 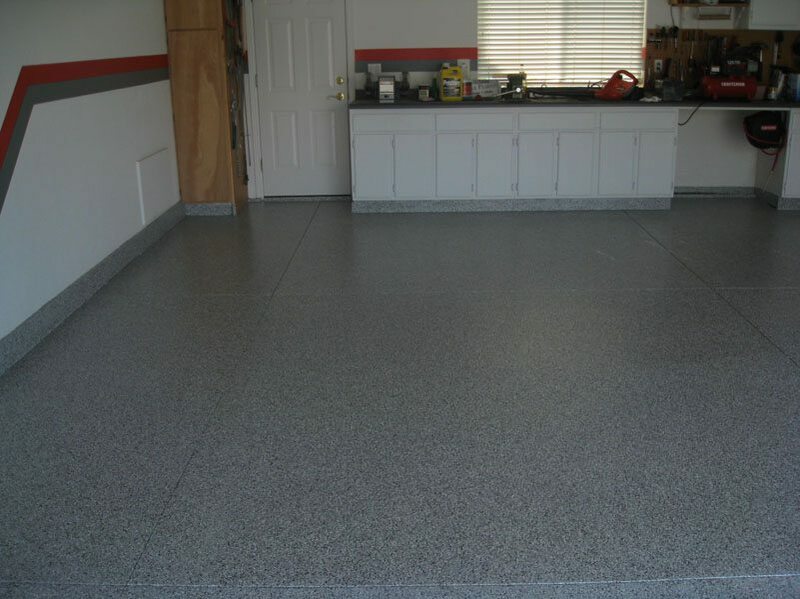 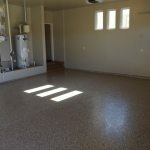 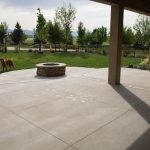 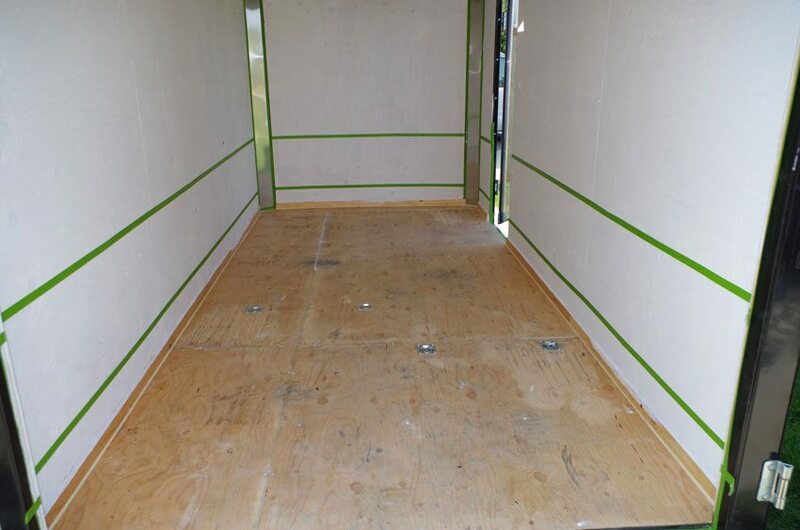 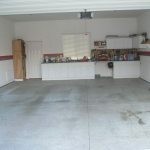 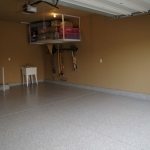 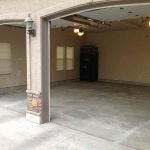 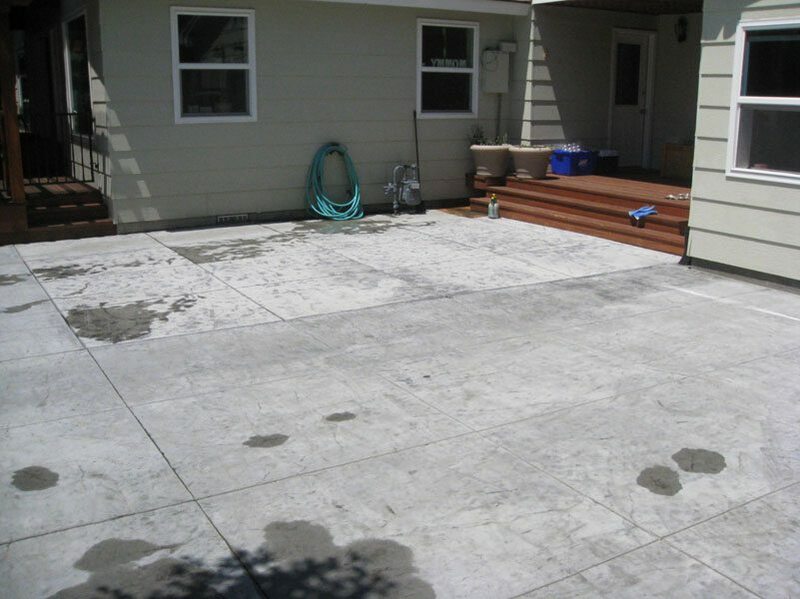 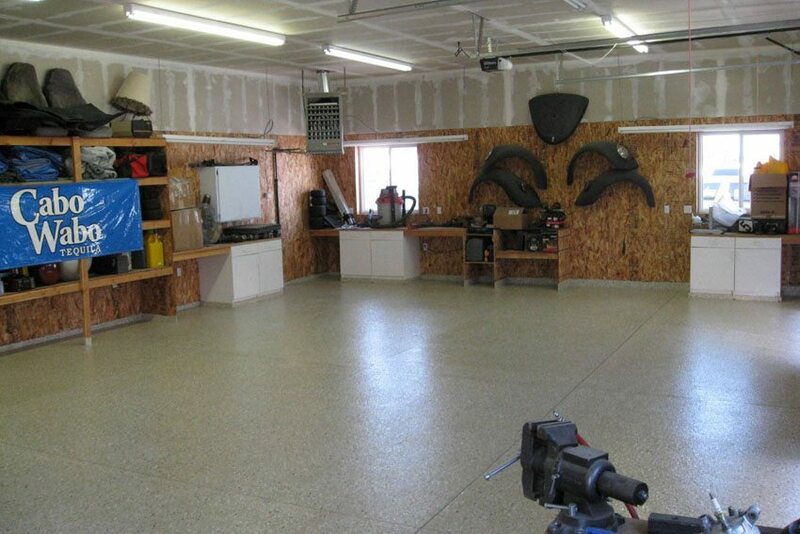 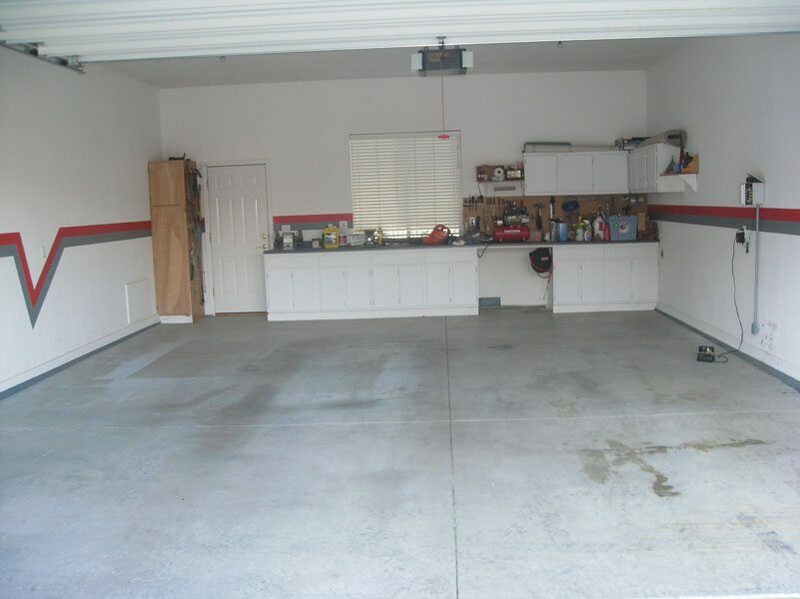 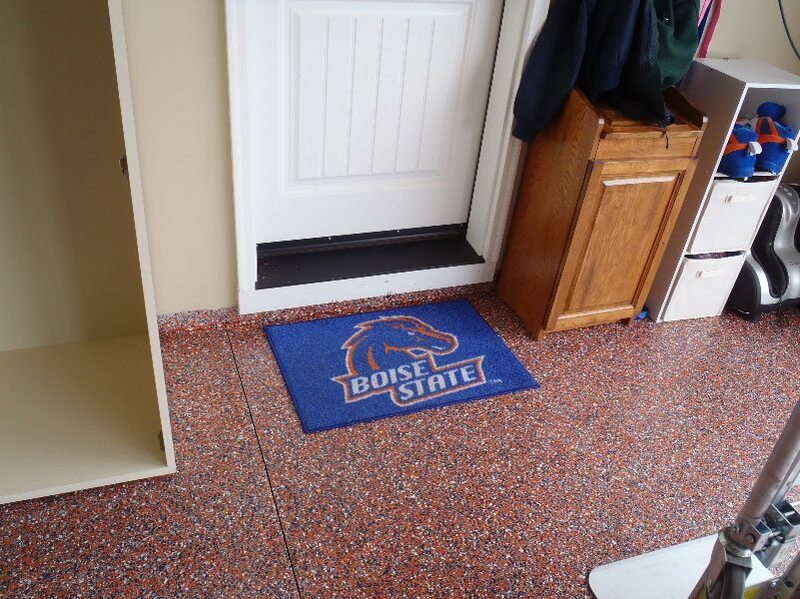 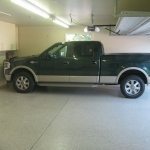 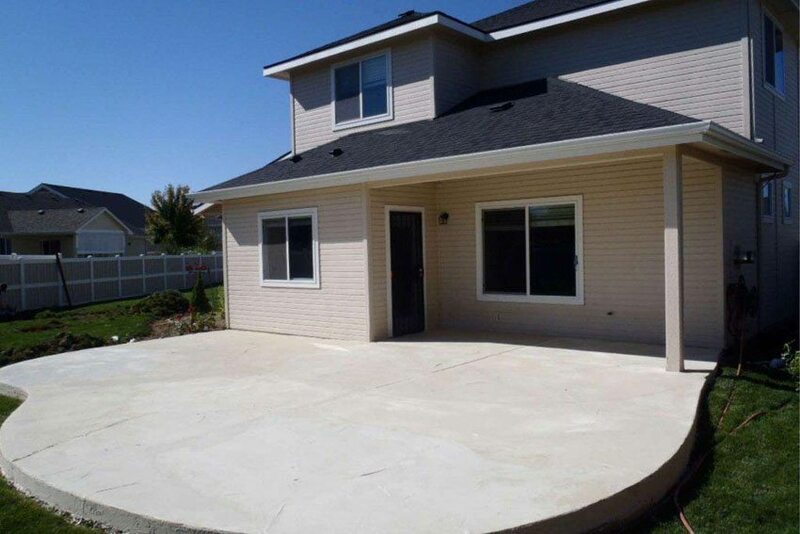 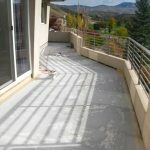 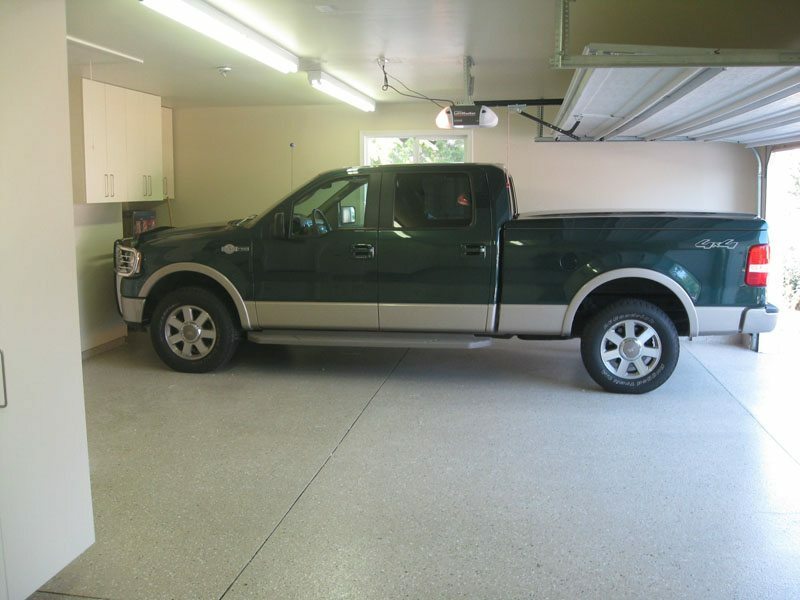 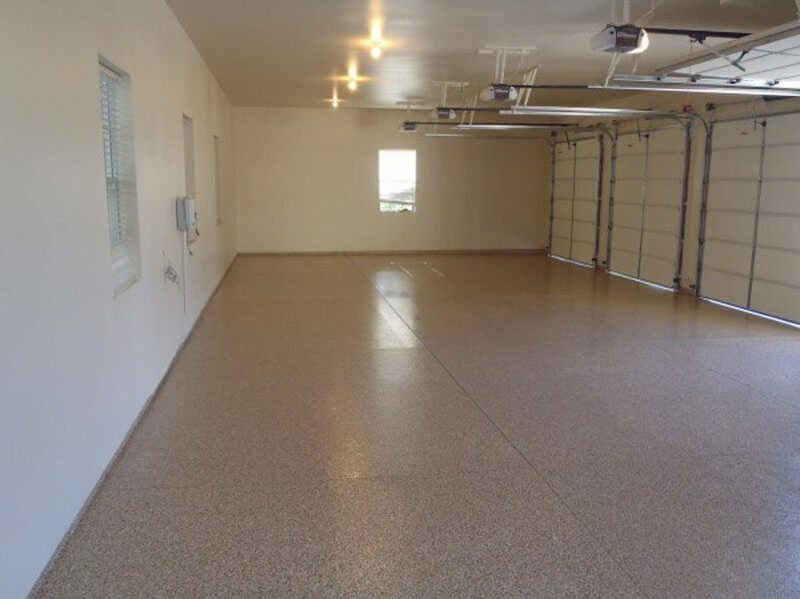 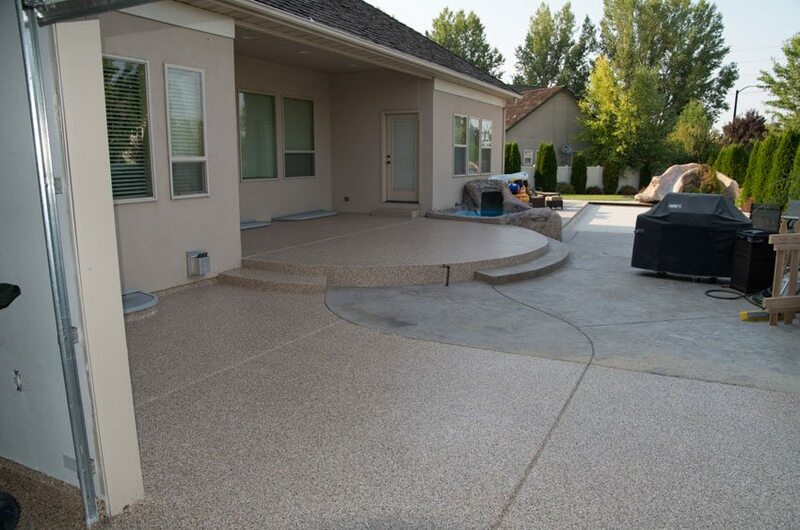 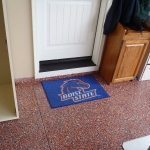 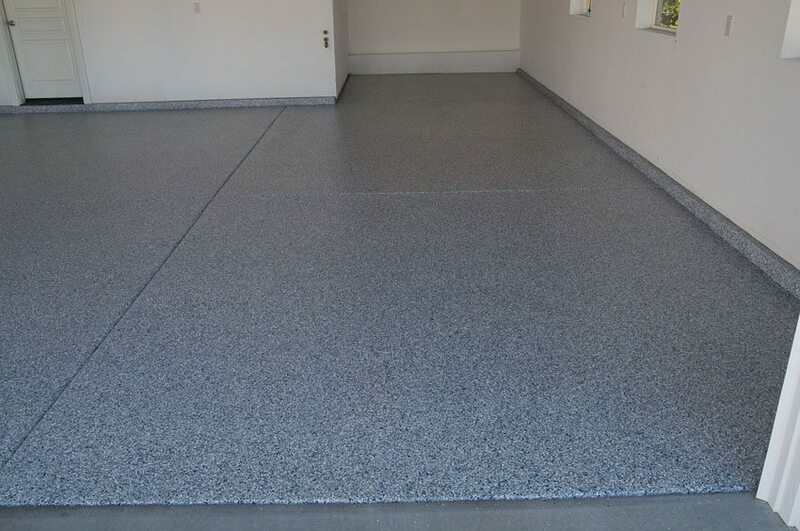 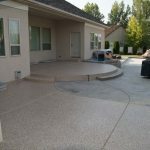 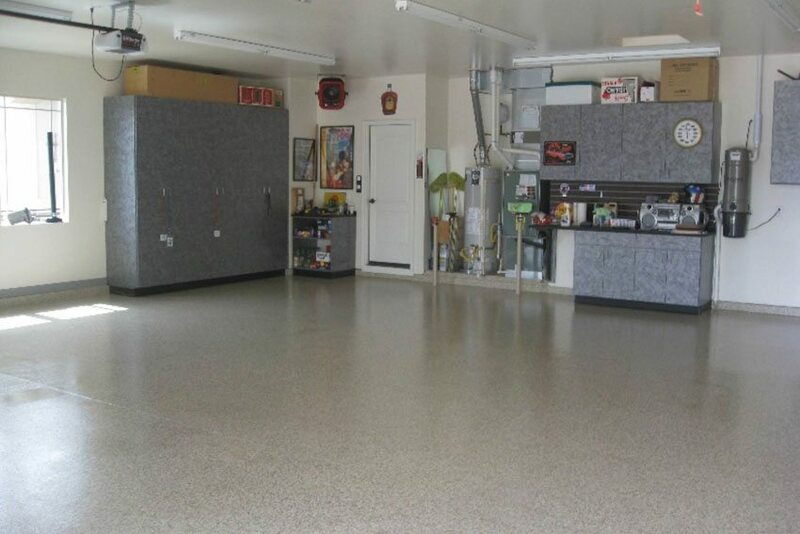 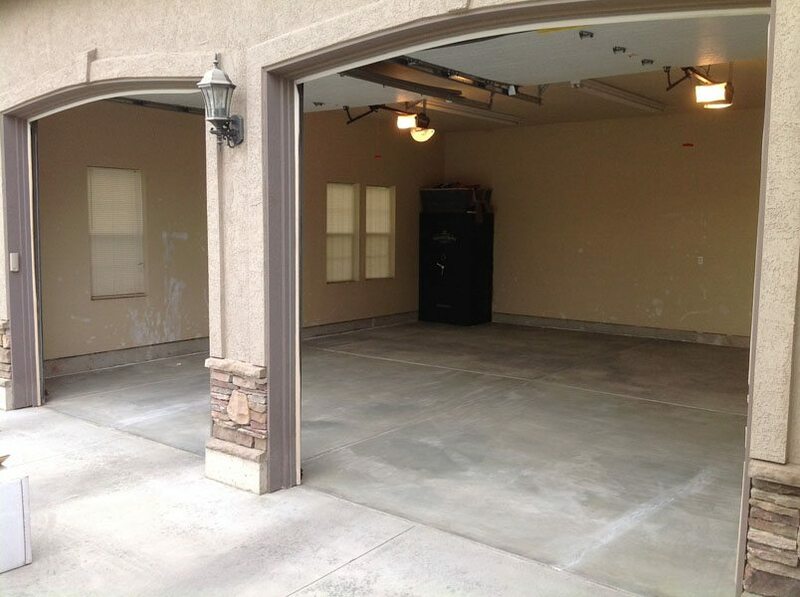 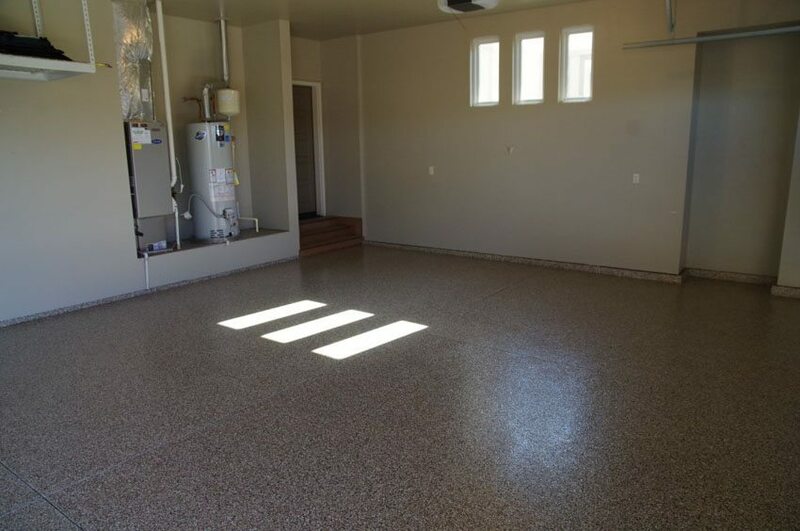 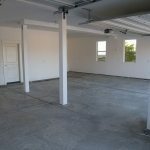 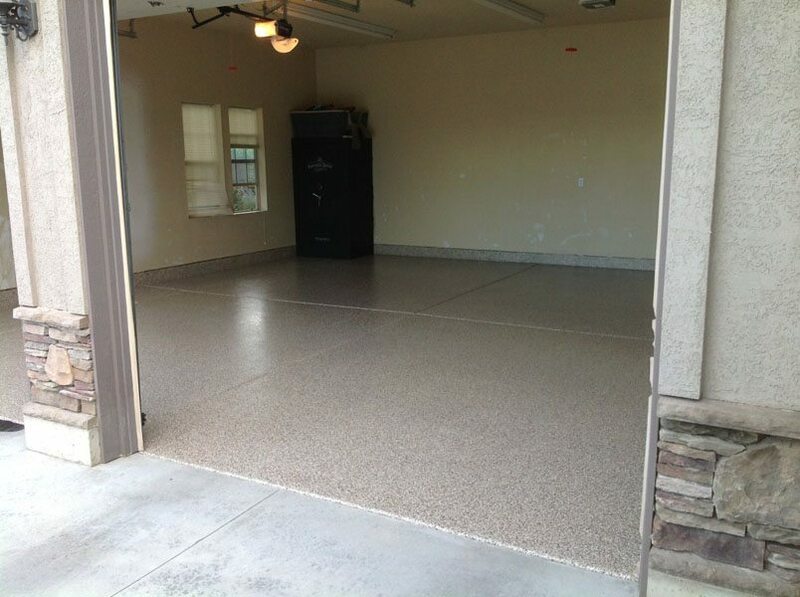 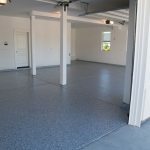 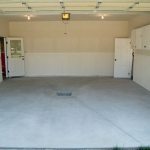 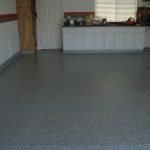 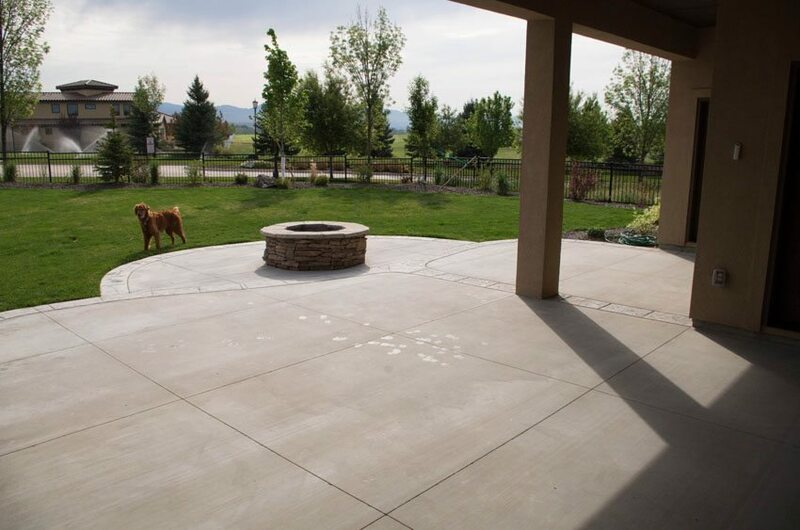 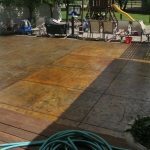 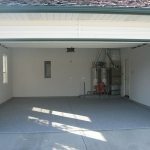 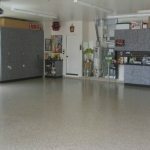 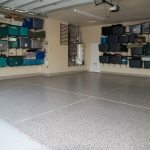 Here’s a small sample of garage floor coatings we’ve done in Boise and surrounding areas. 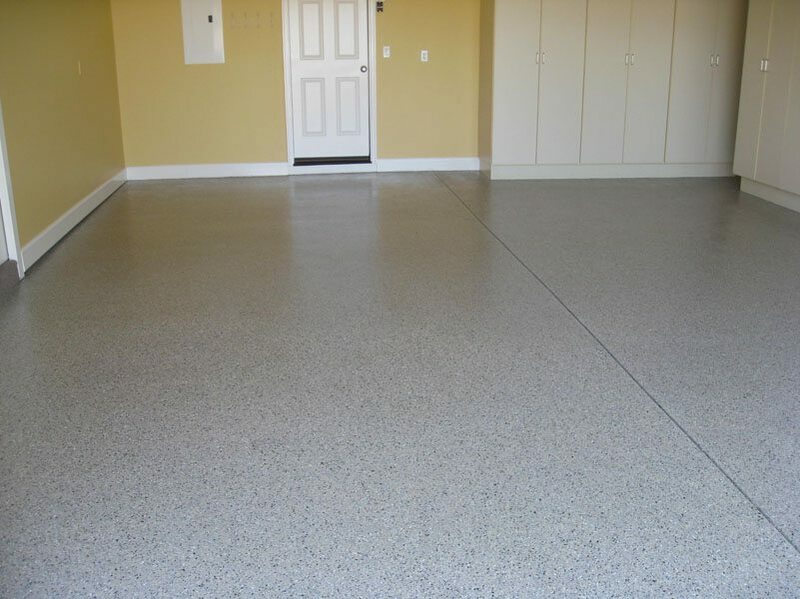 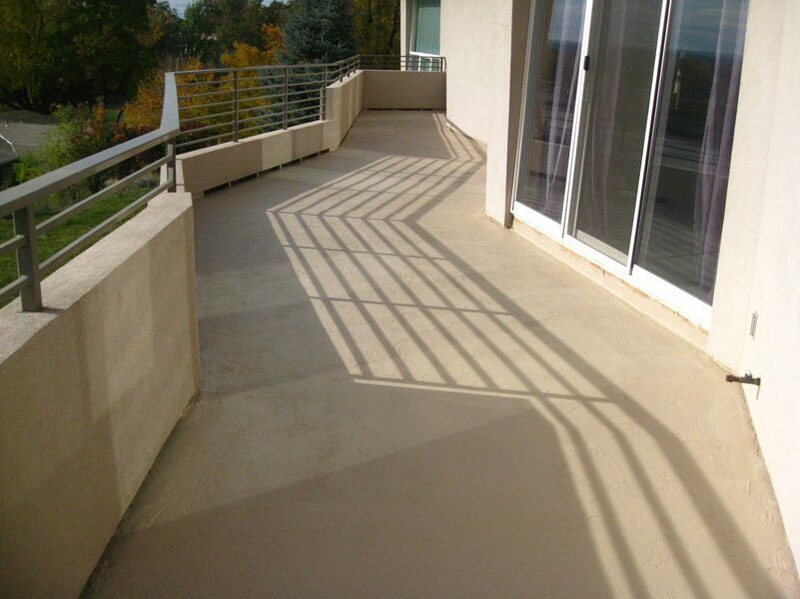 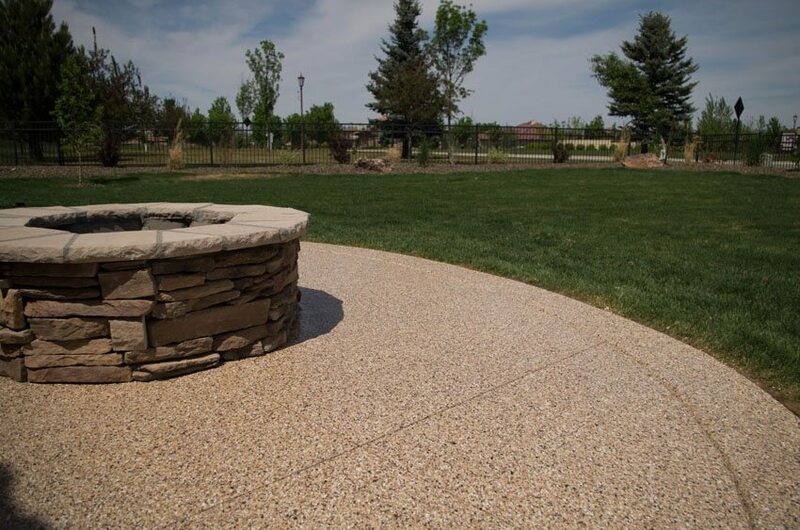 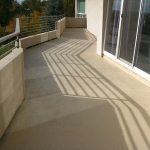 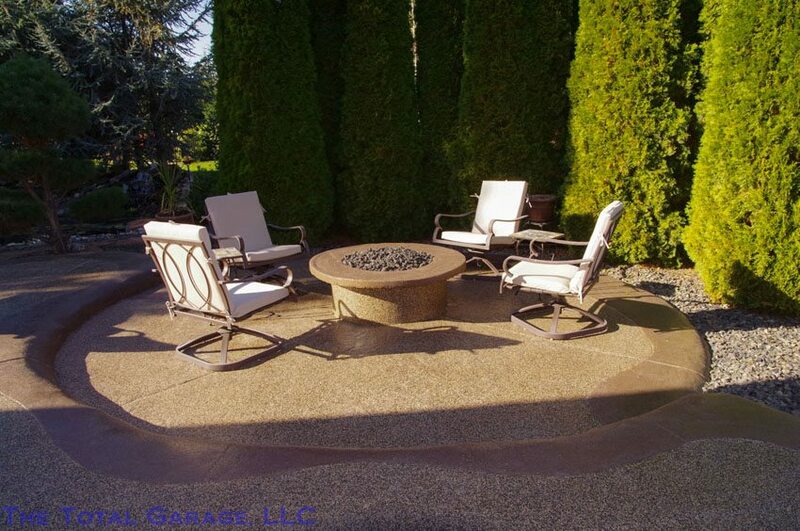 Contact us to discuss the many coatings options to create your perfect space! 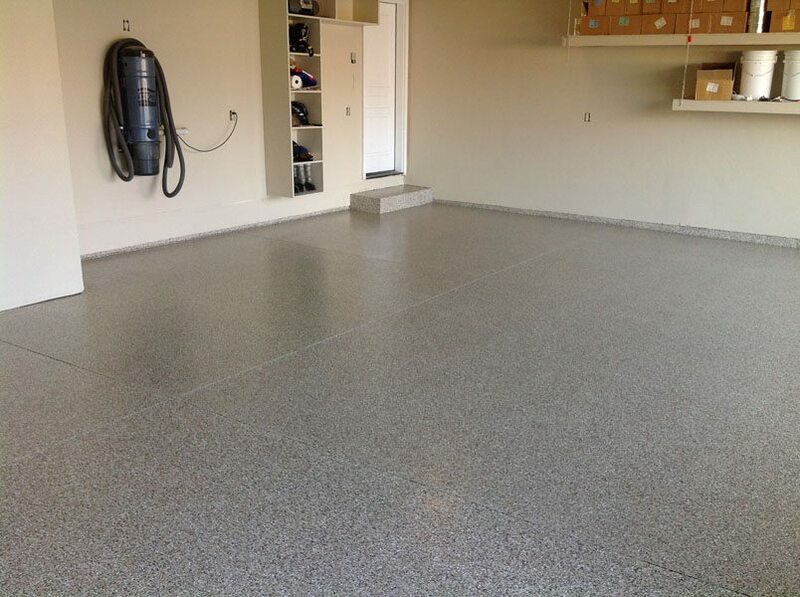 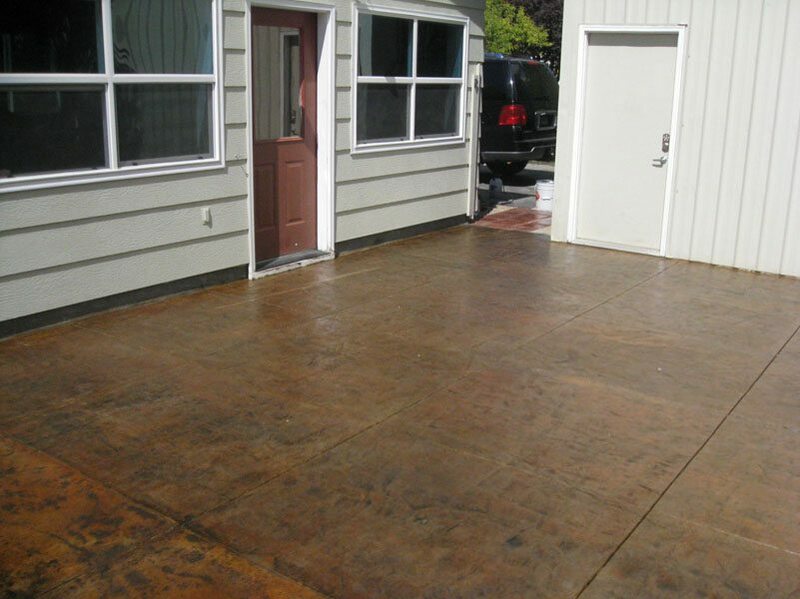 Conquer your slippery, oil-stained garage floor TODAY!